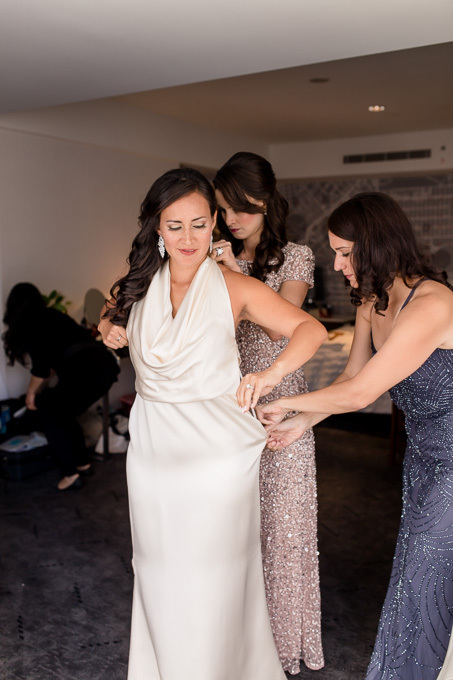 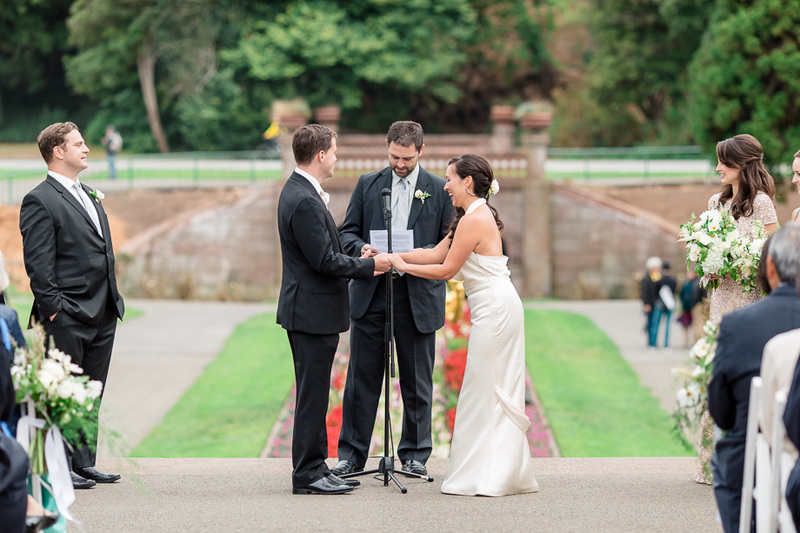 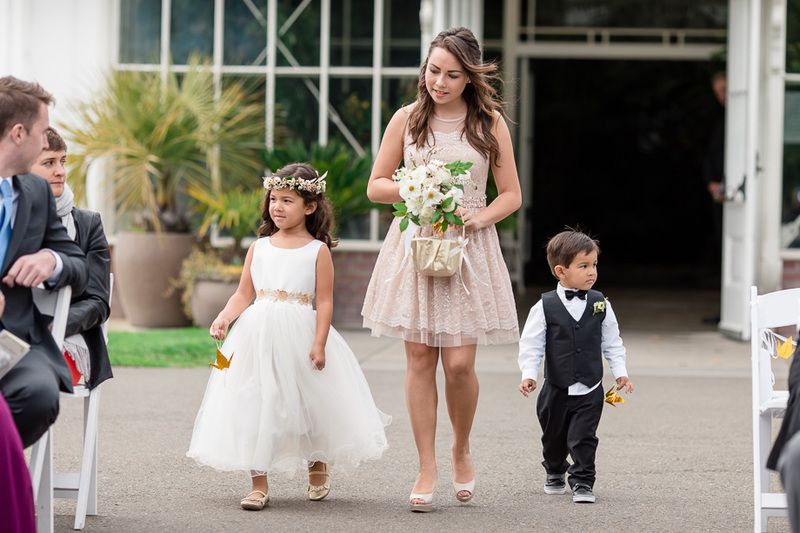 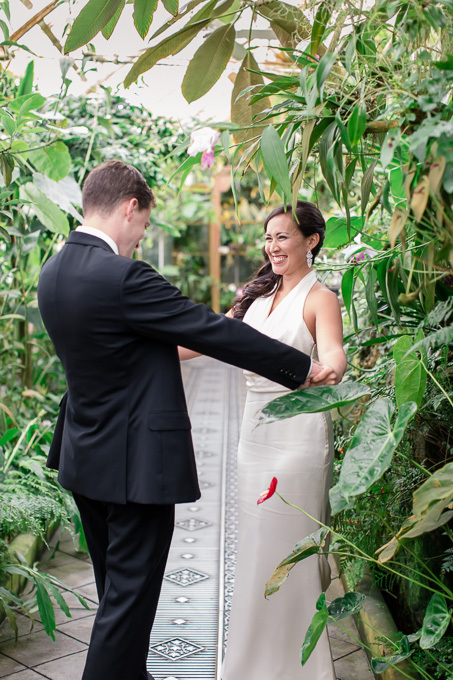 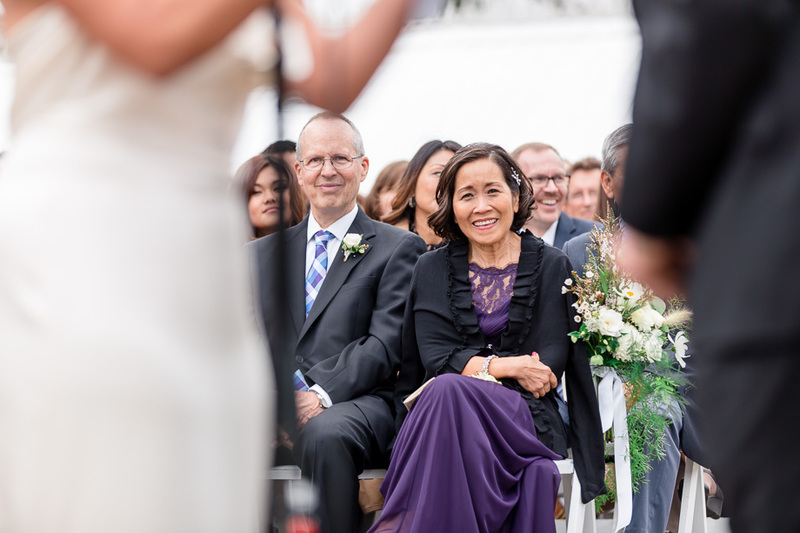 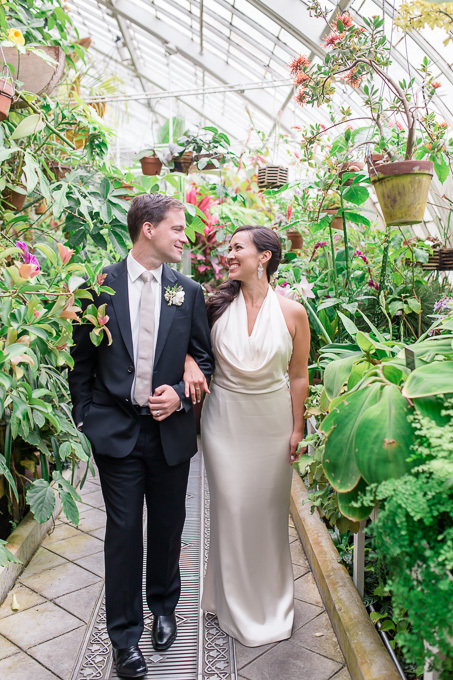 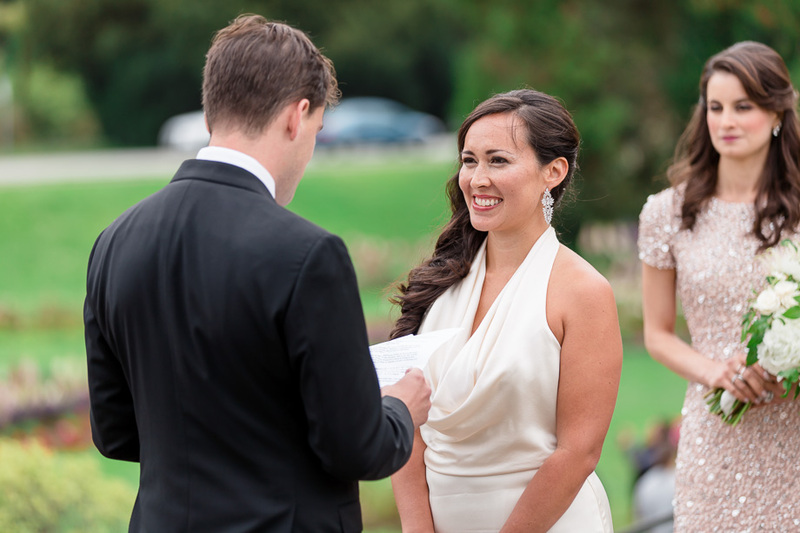 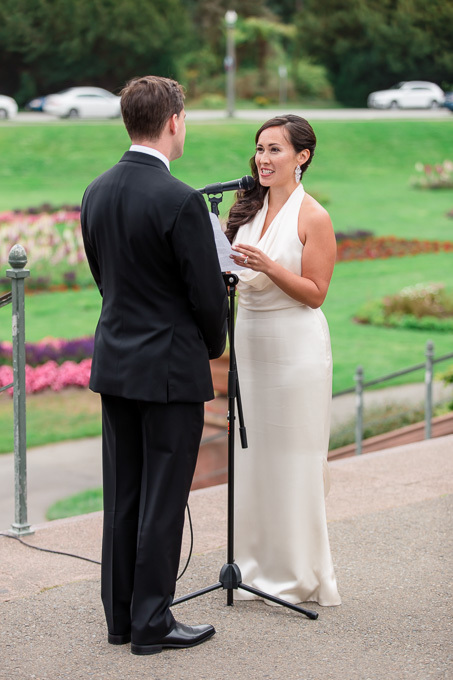 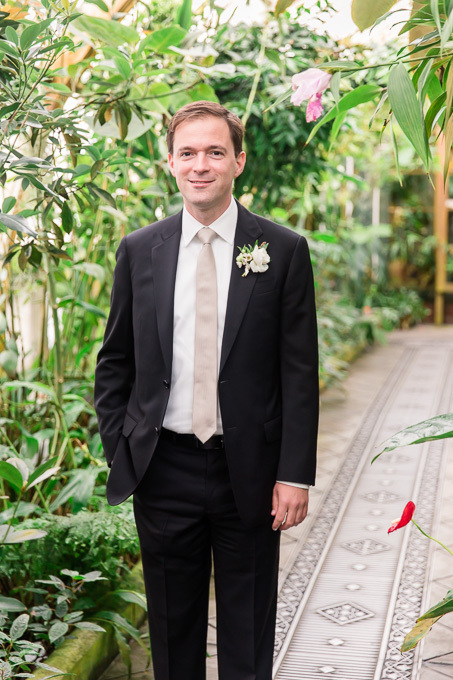 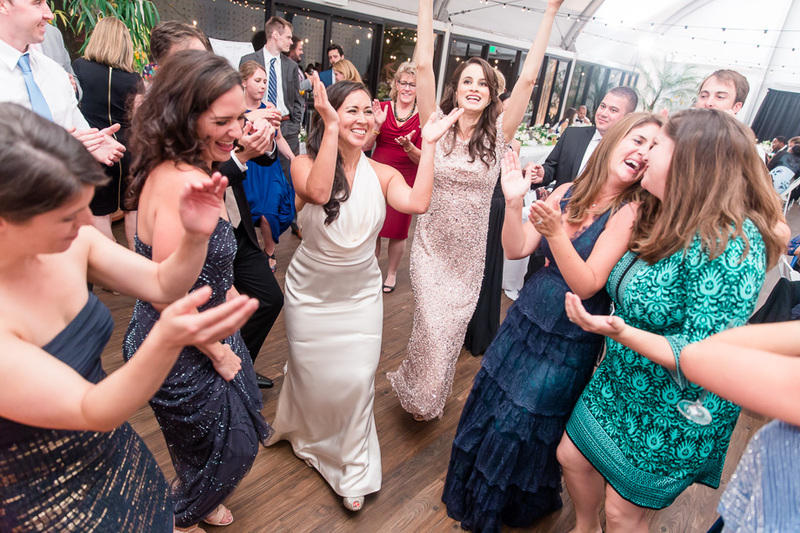 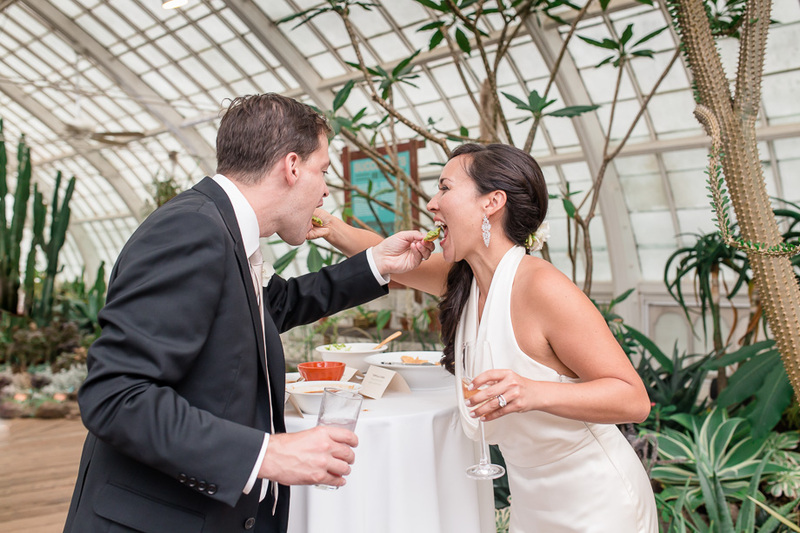 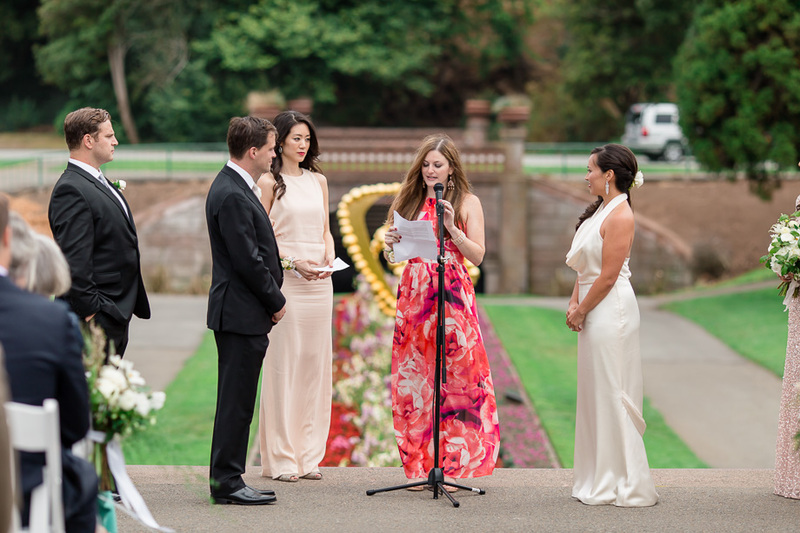 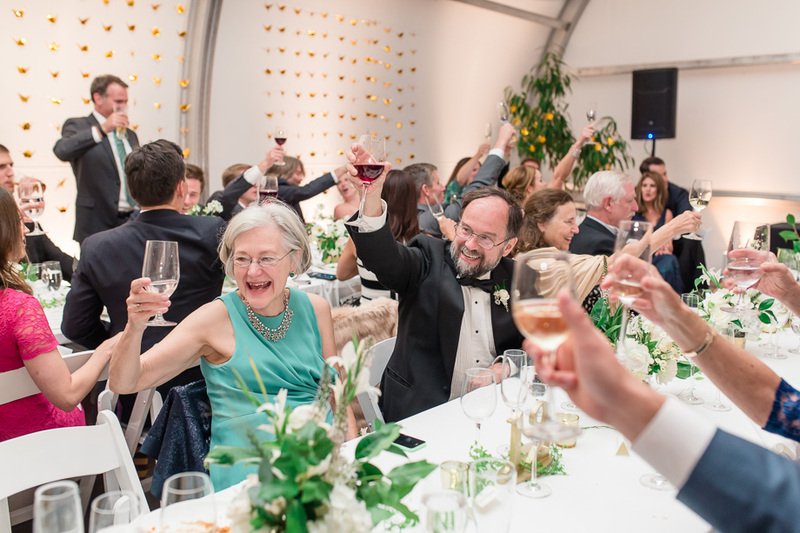 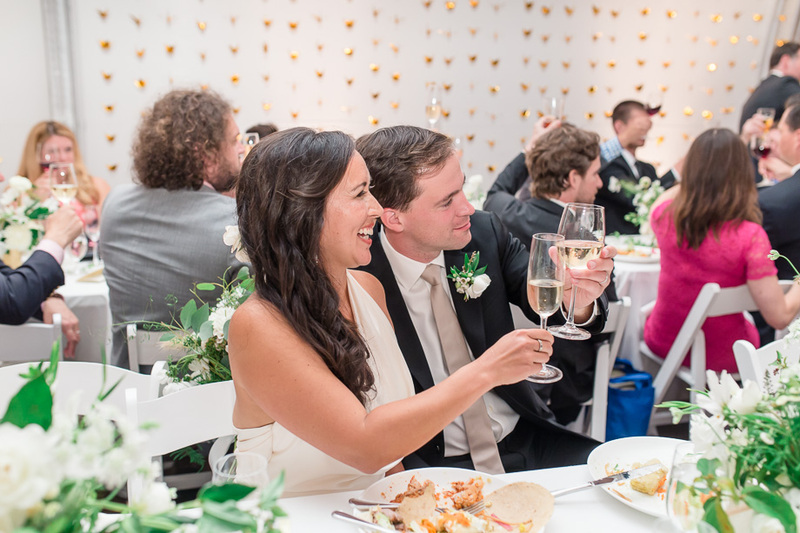 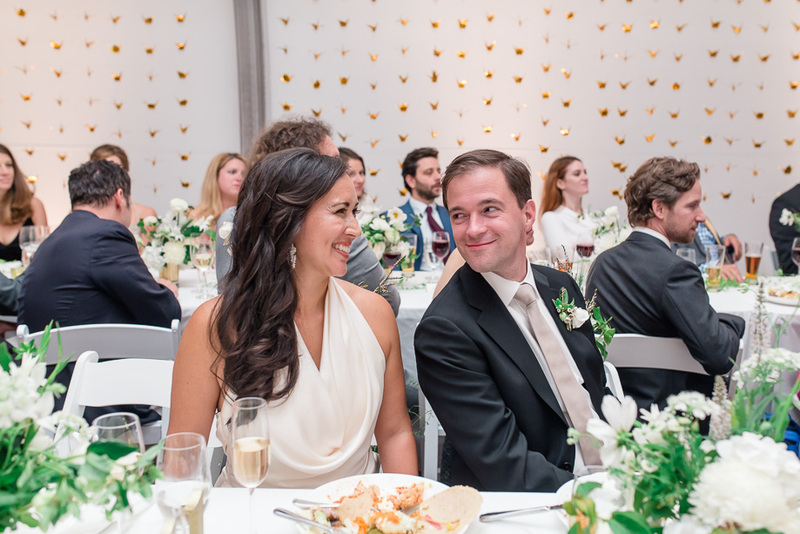 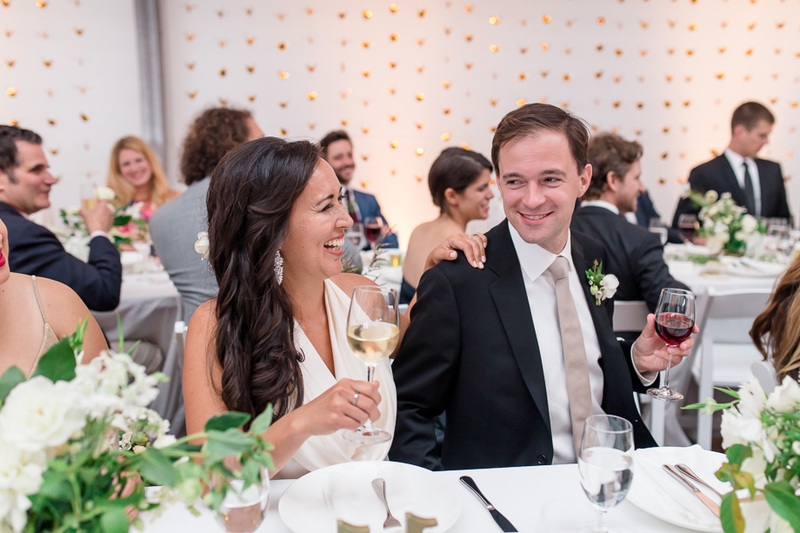 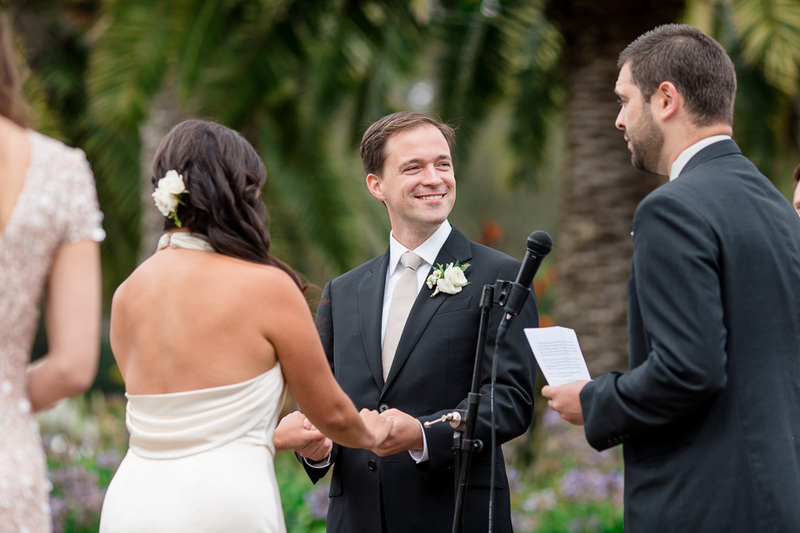 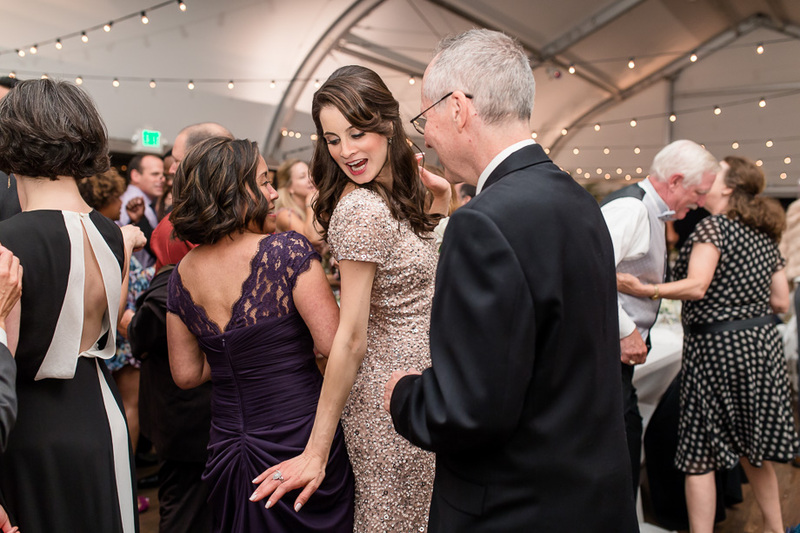 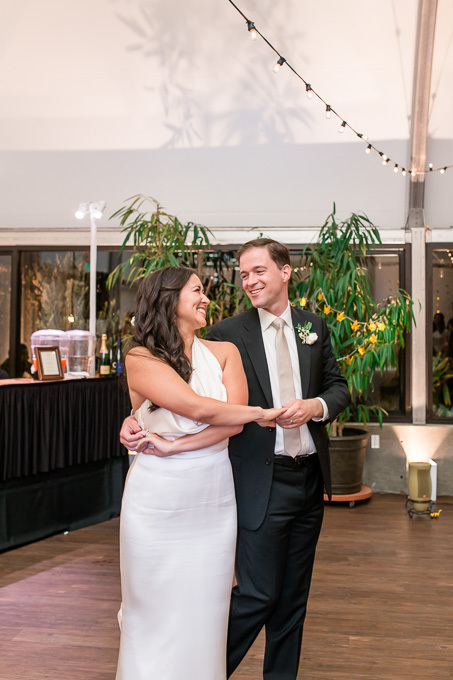 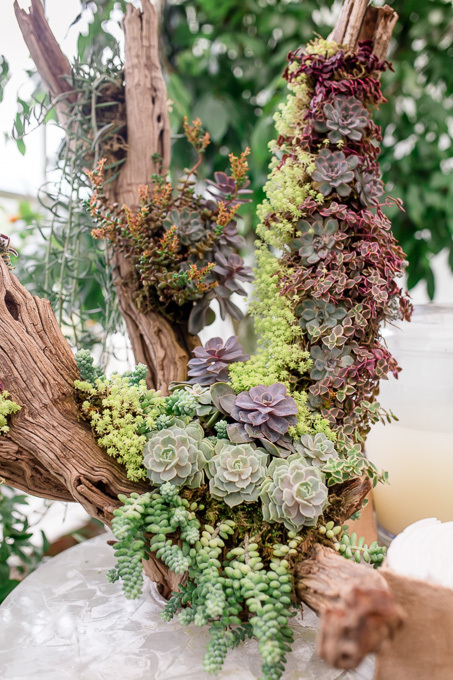 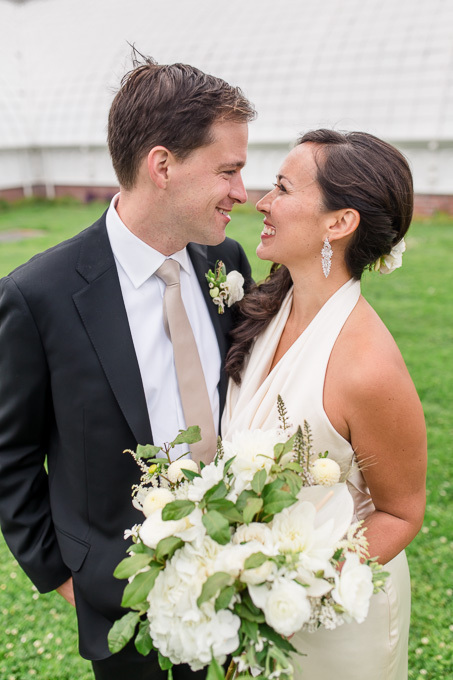 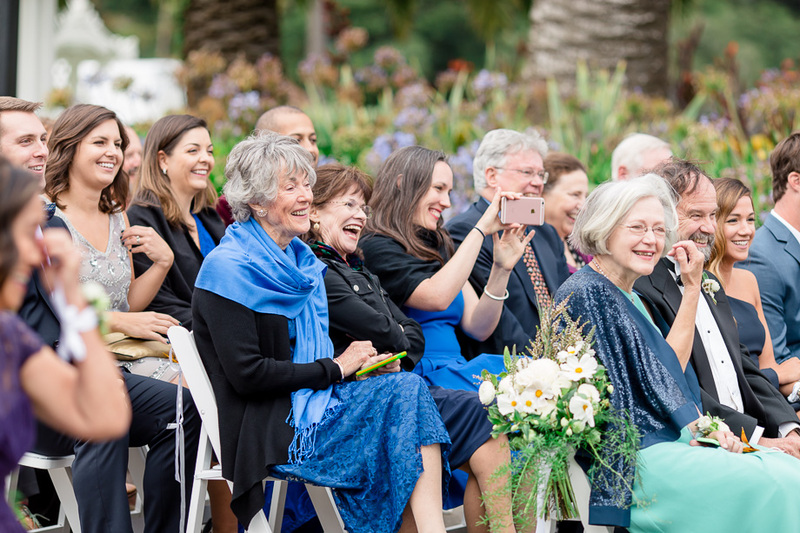 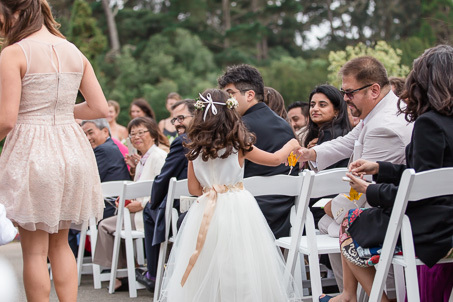 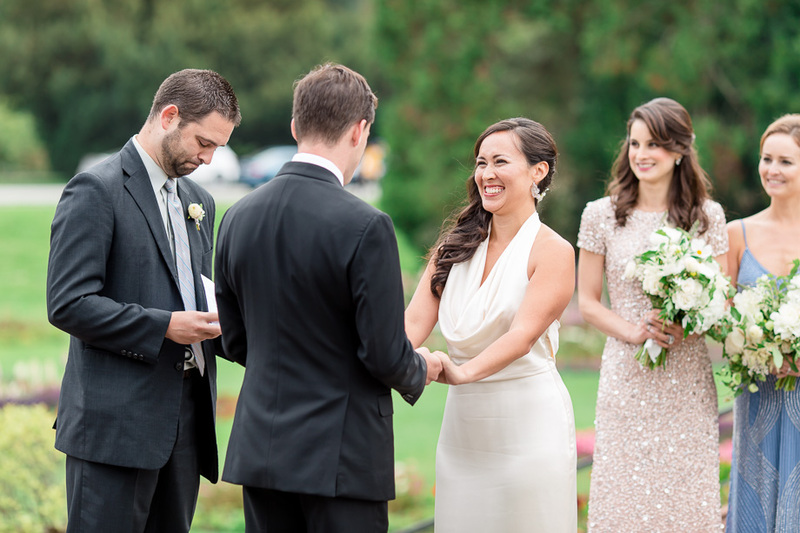 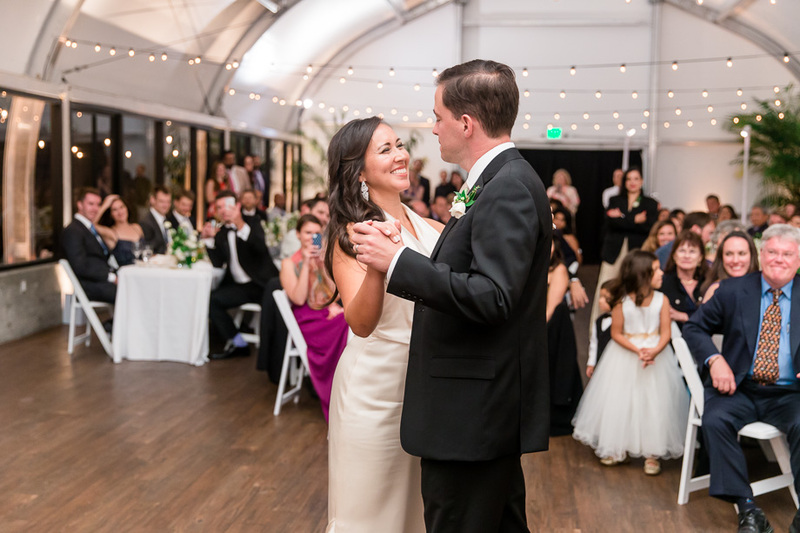 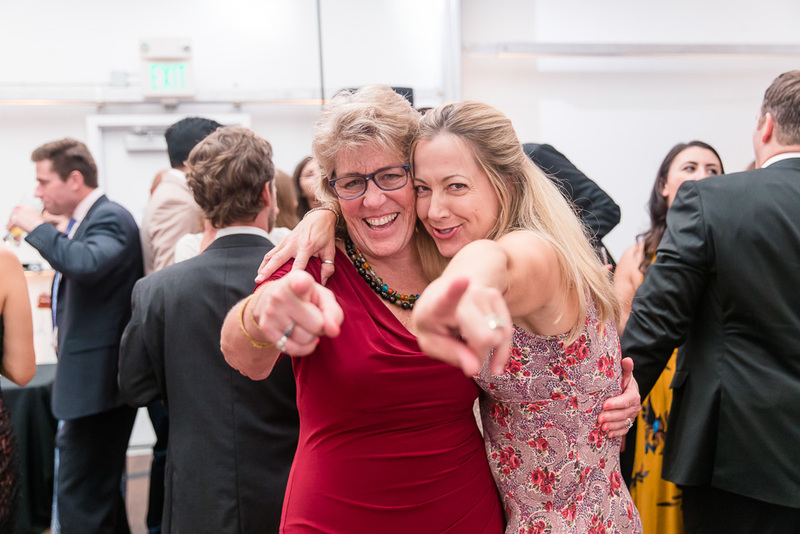 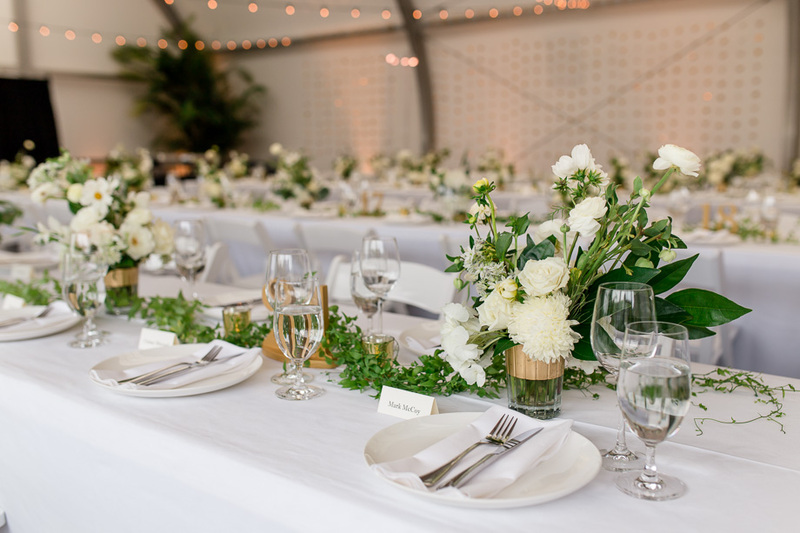 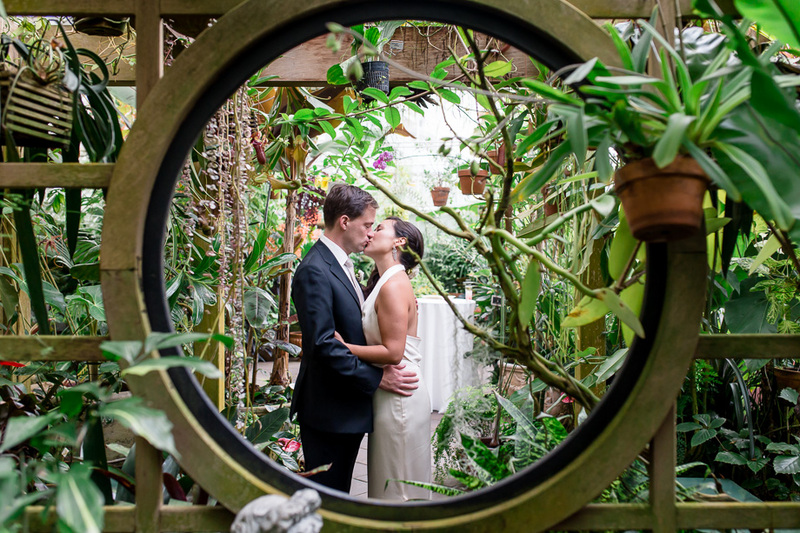 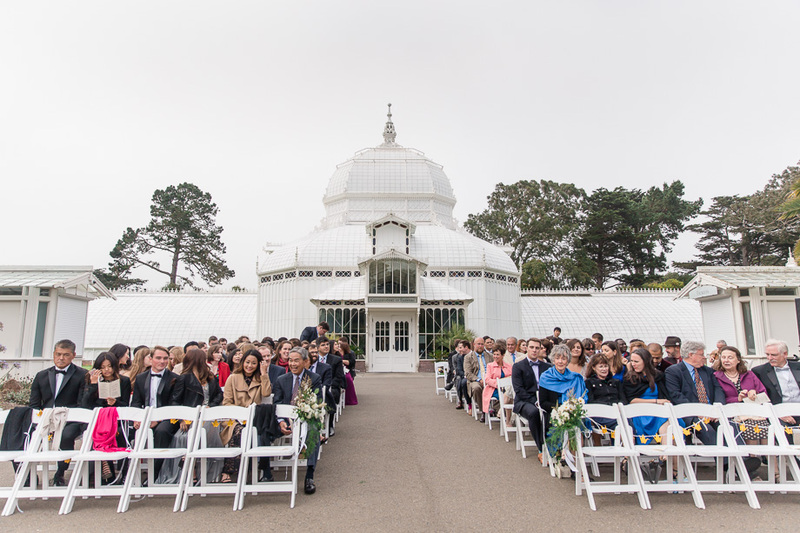 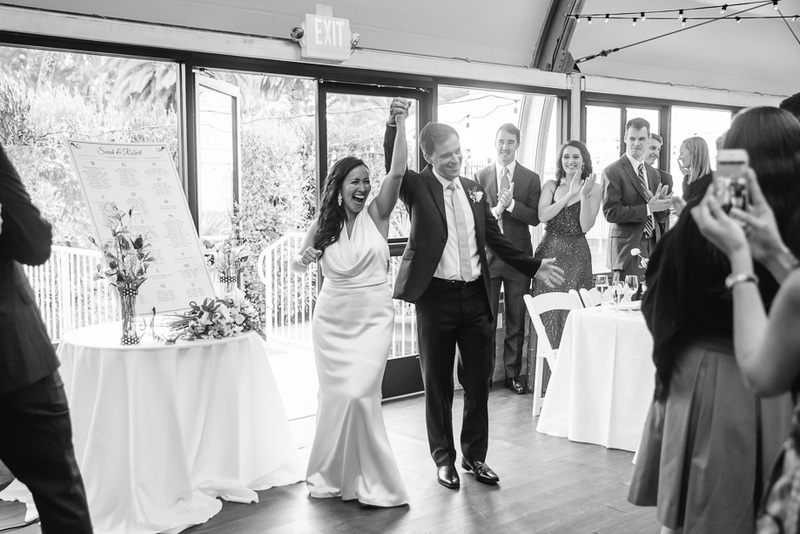 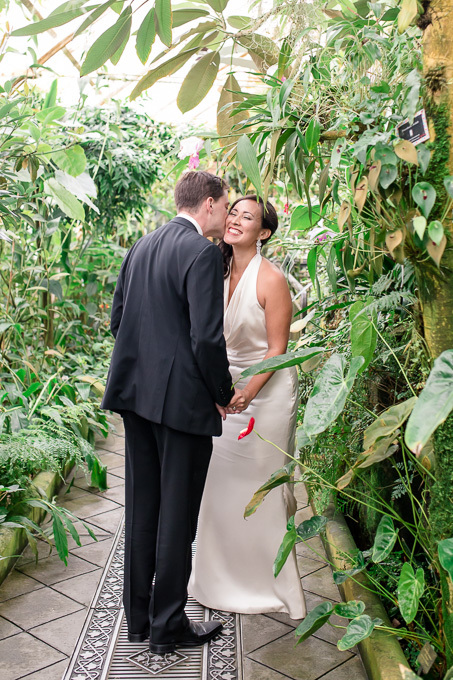 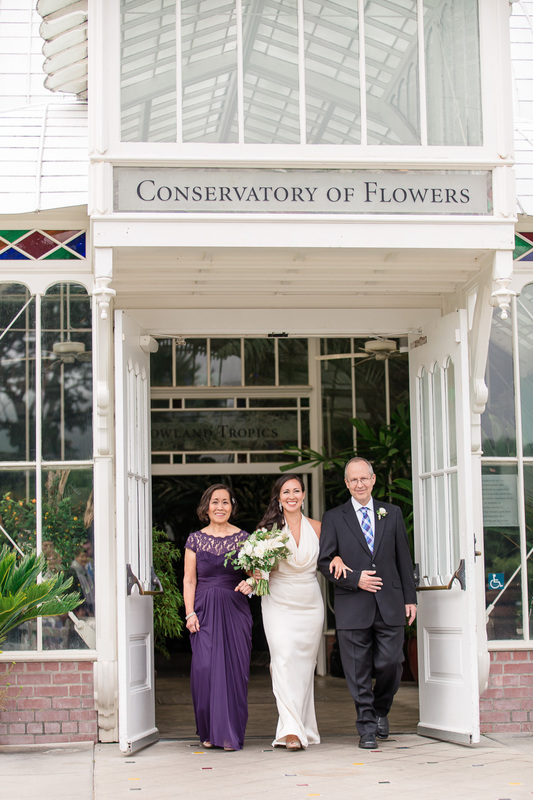 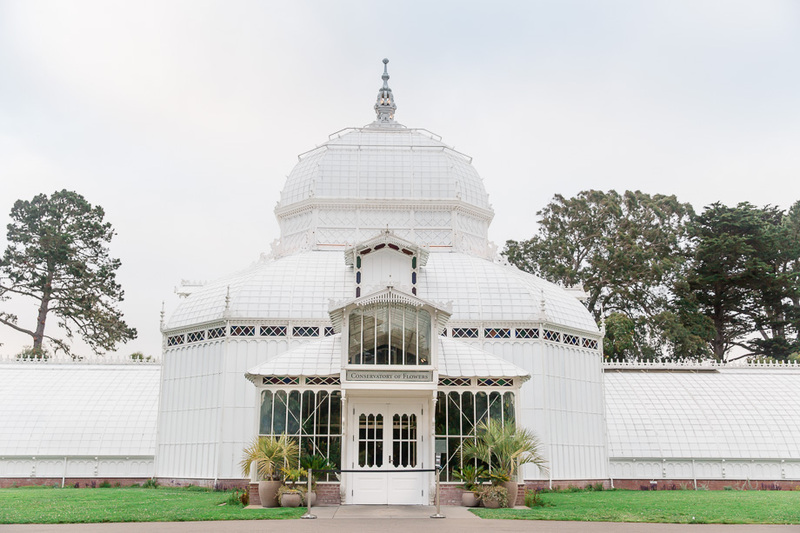 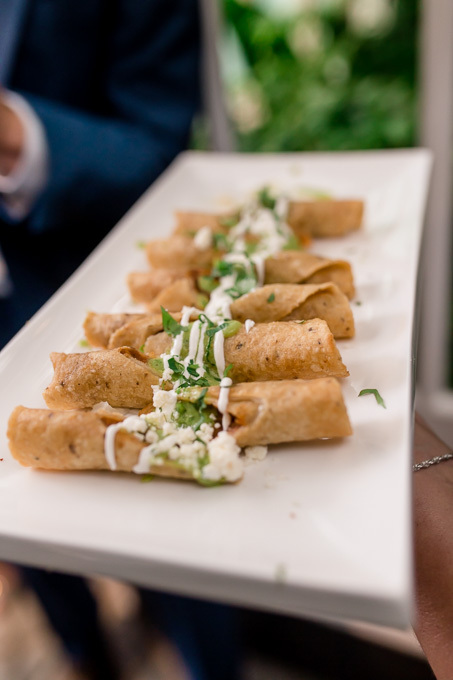 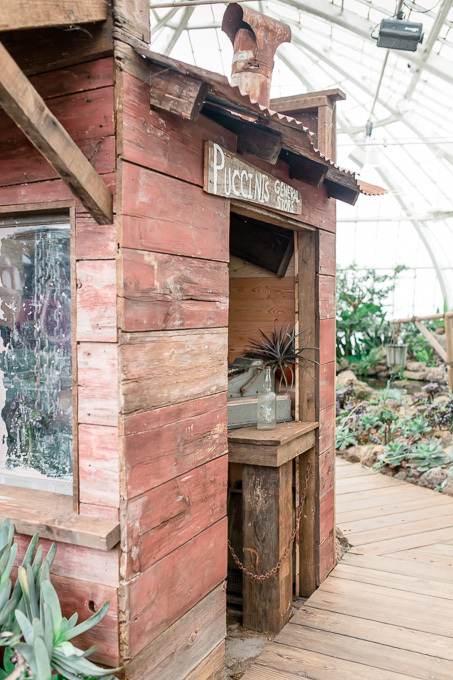 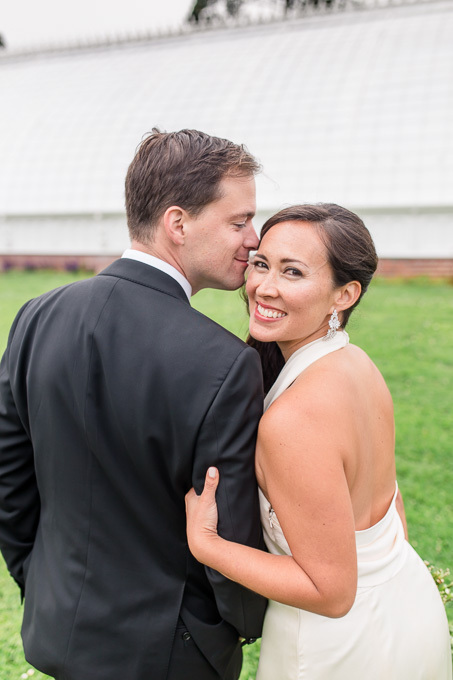 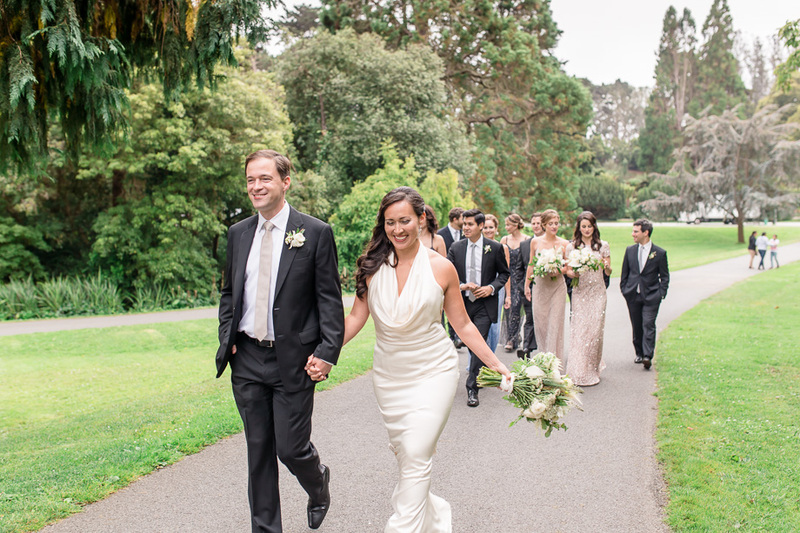 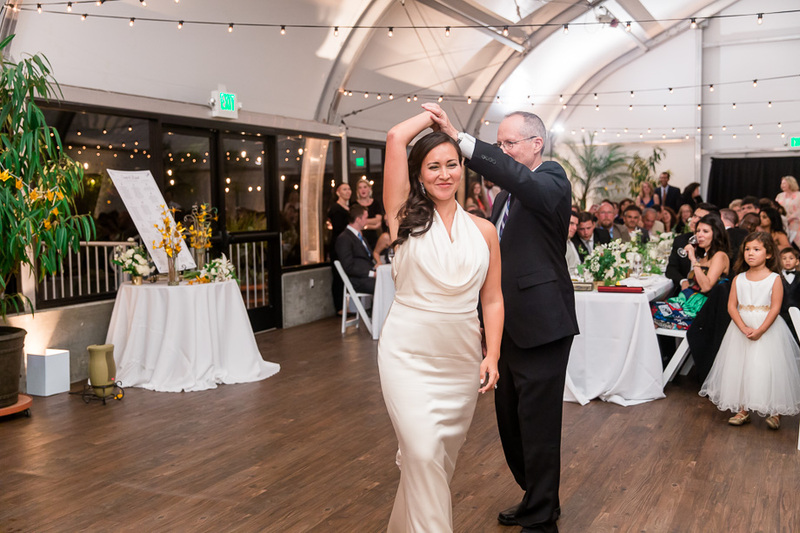 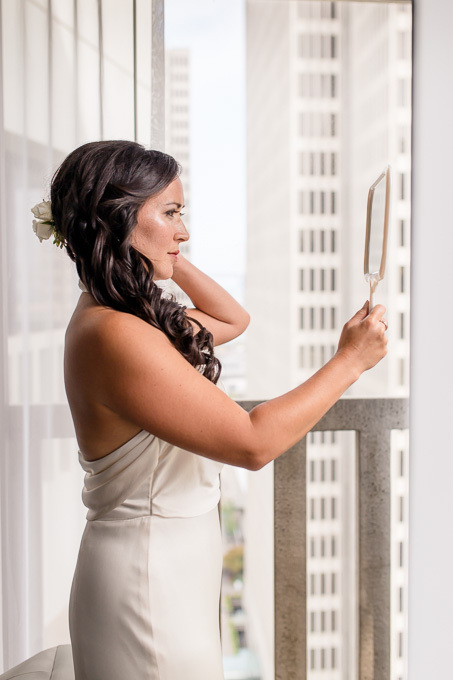 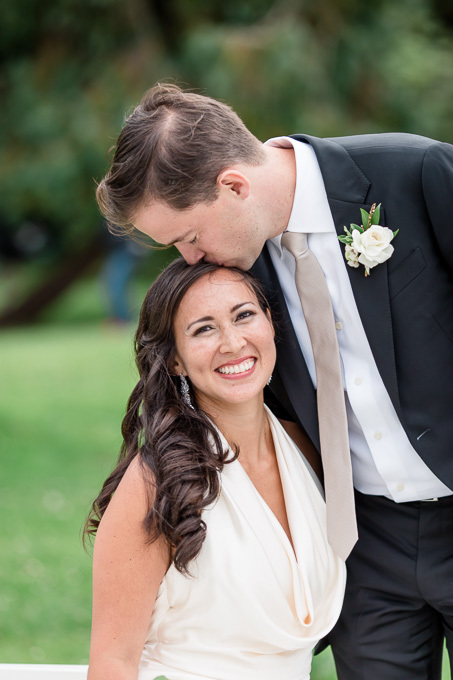 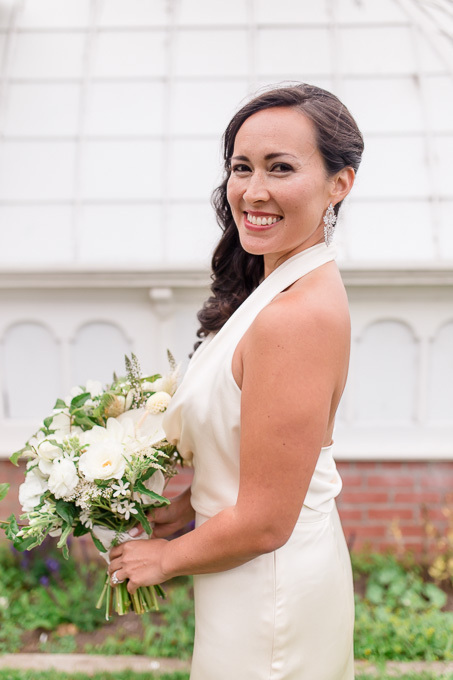 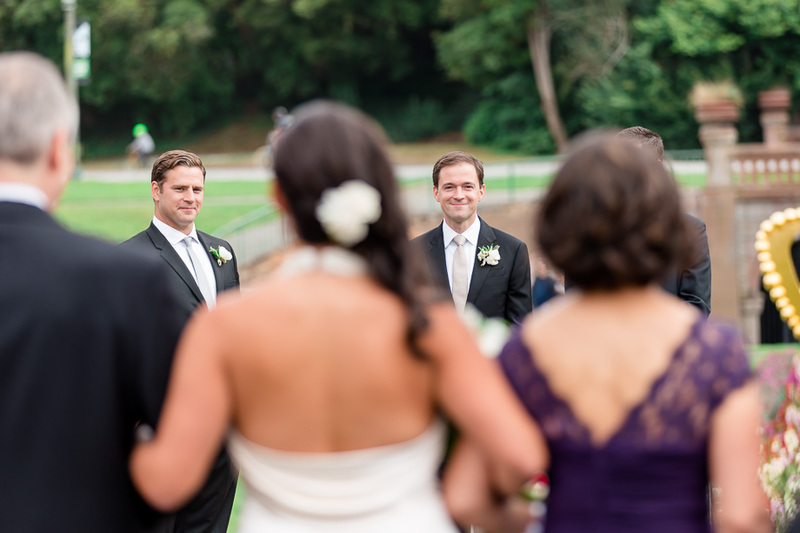 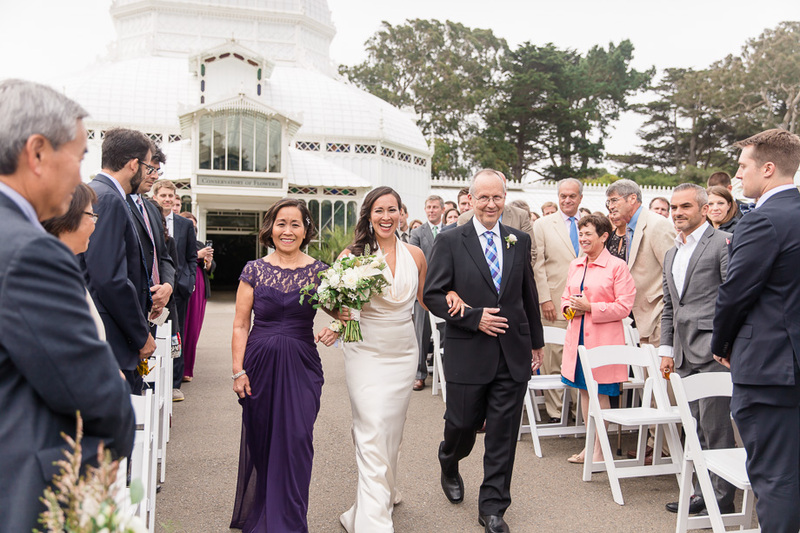 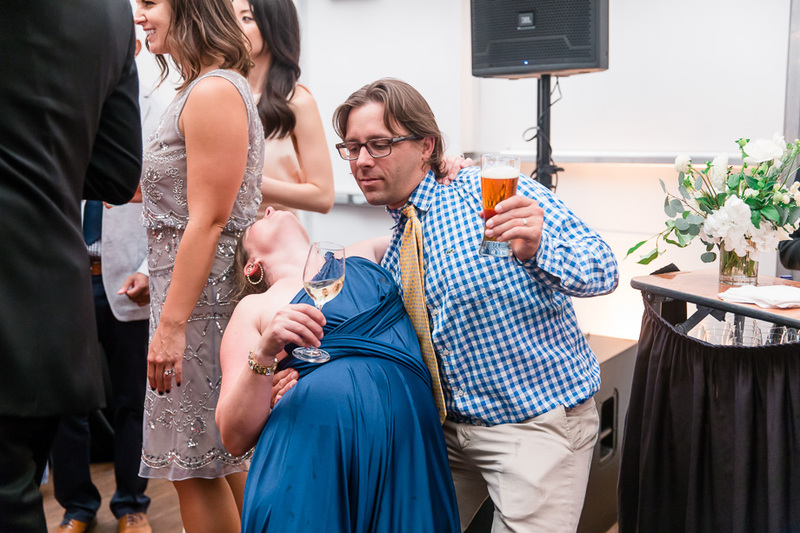 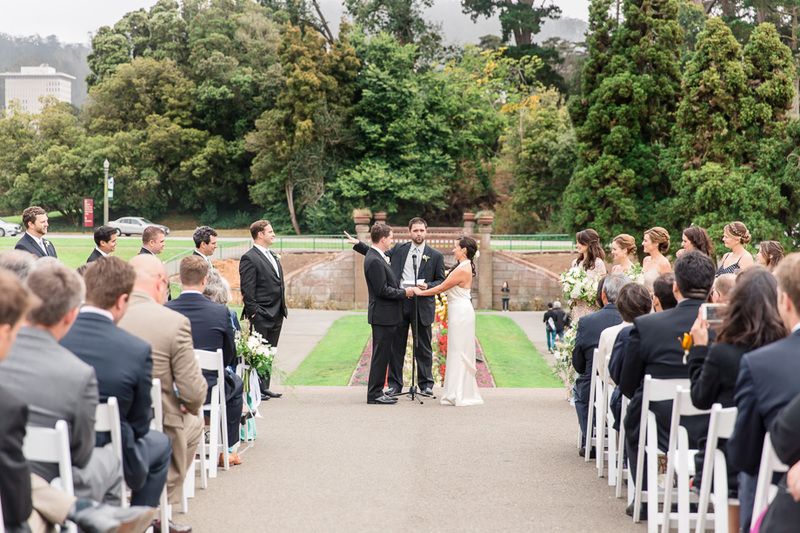 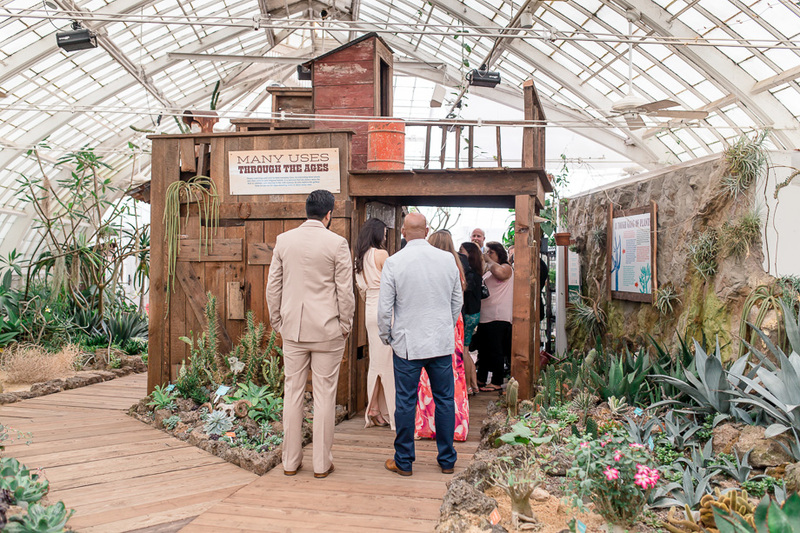 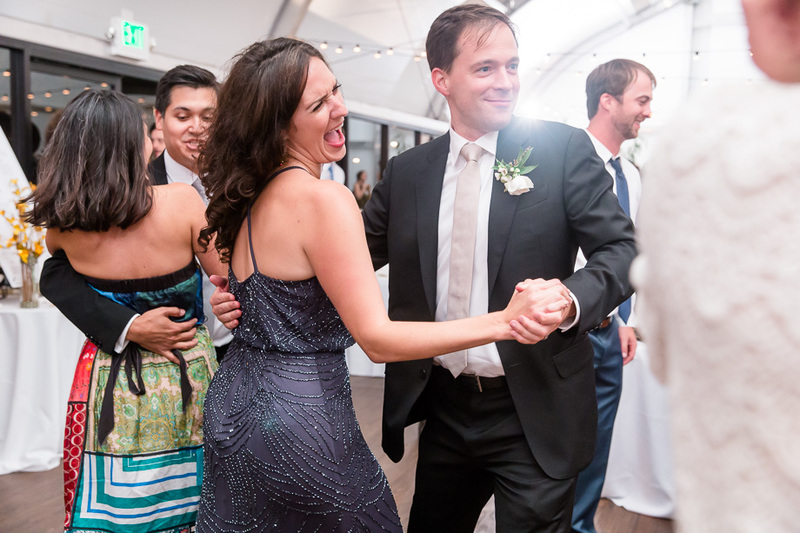 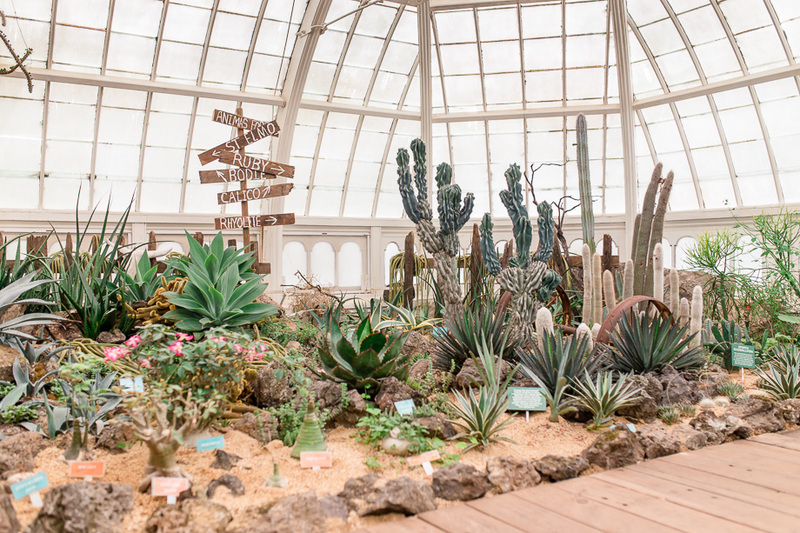 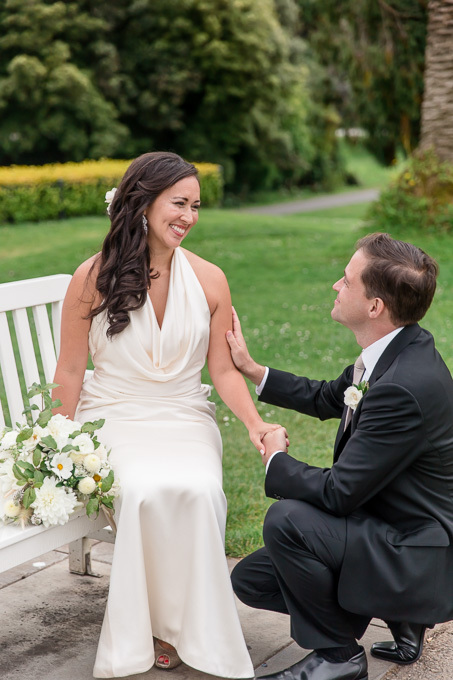 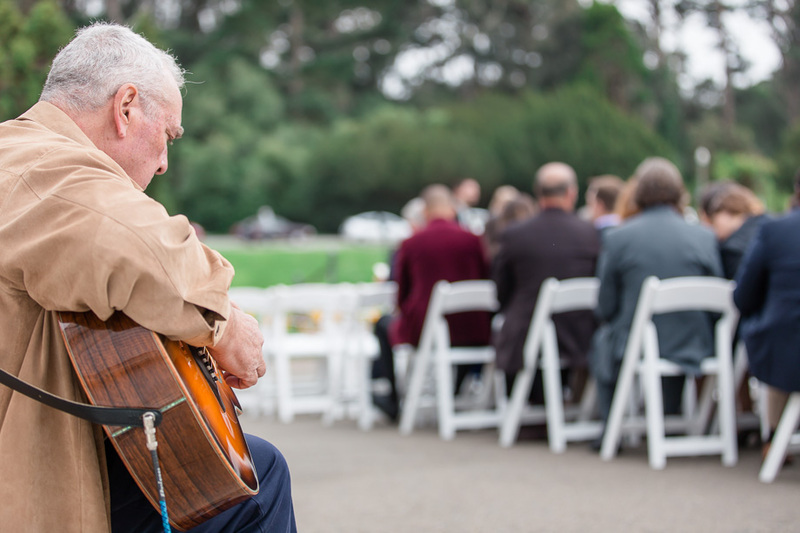 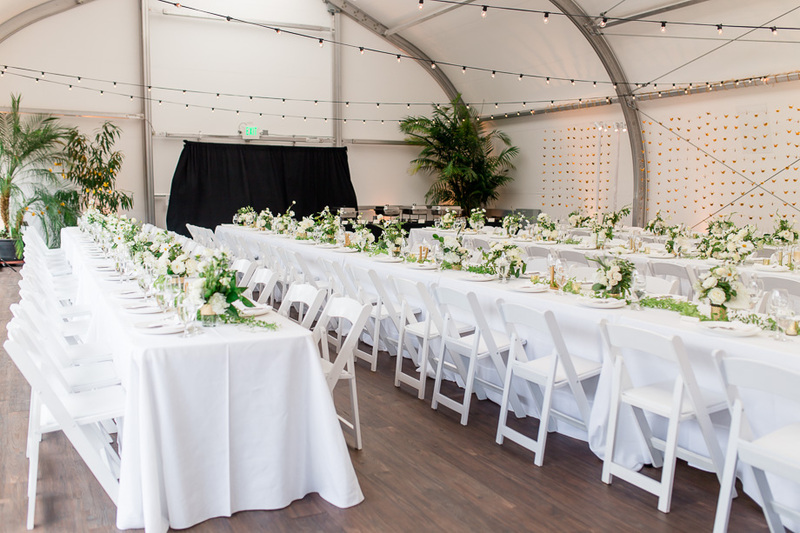 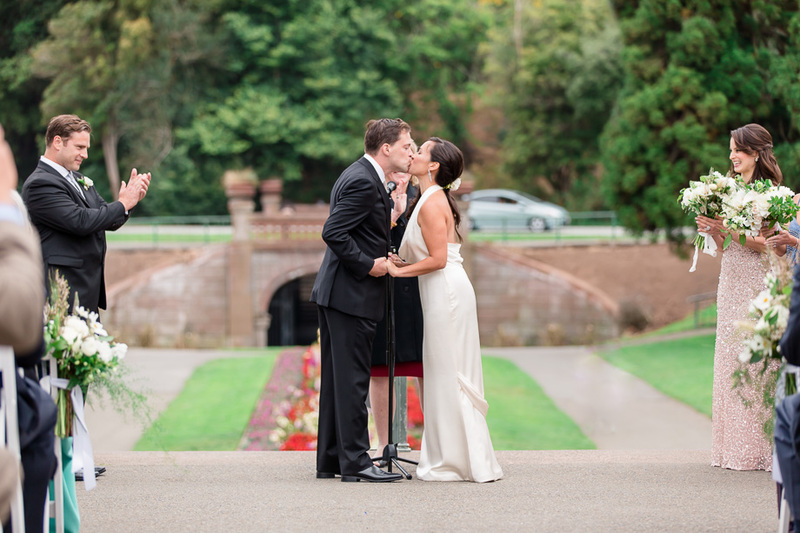 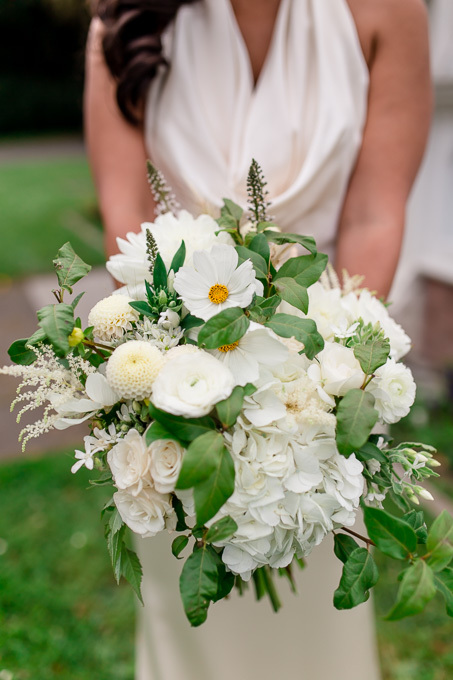 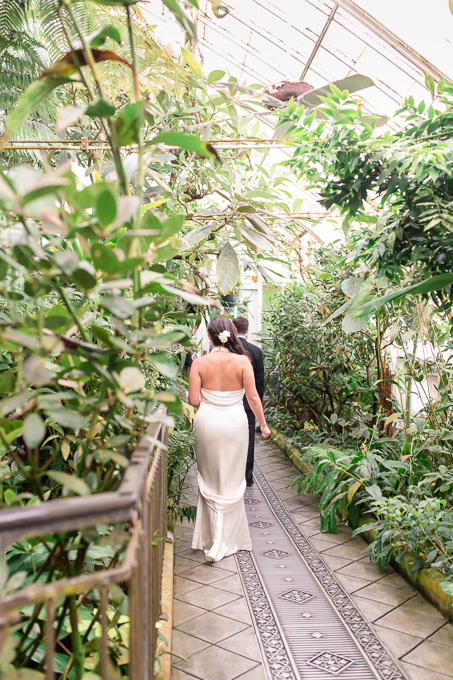 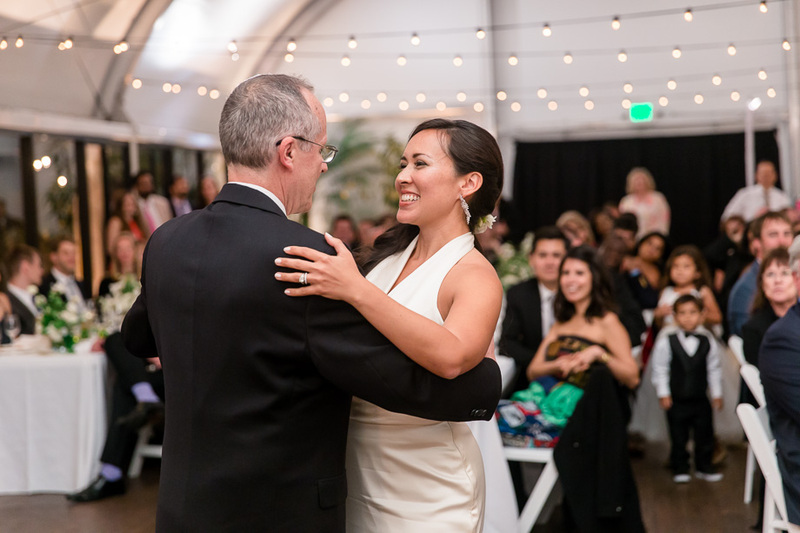 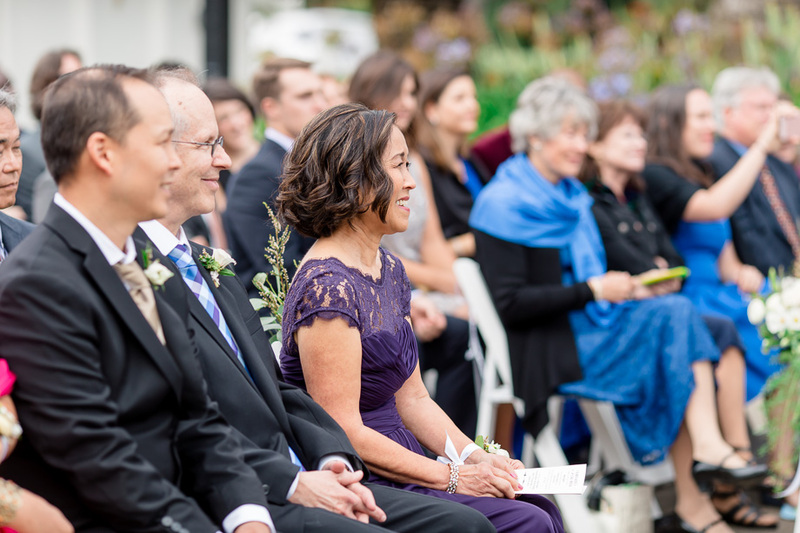 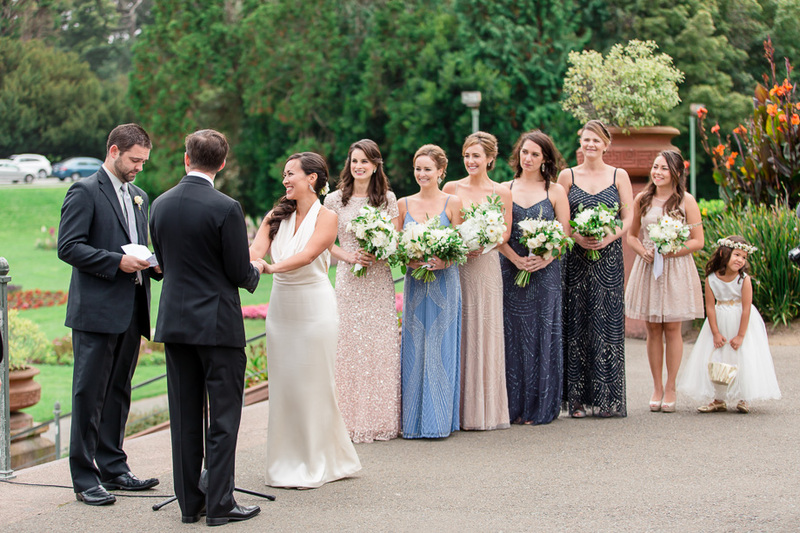 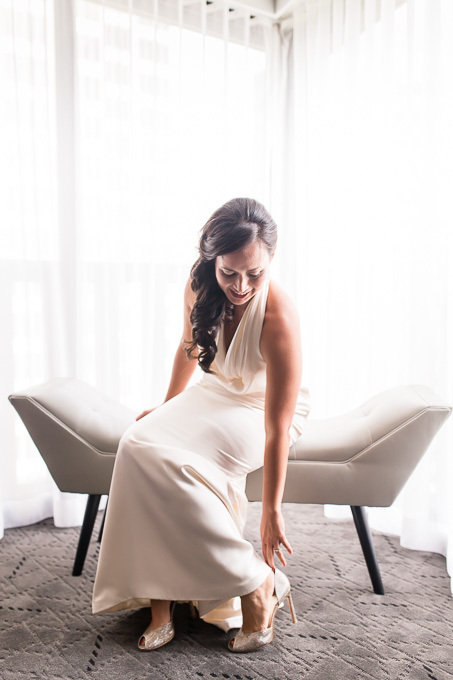 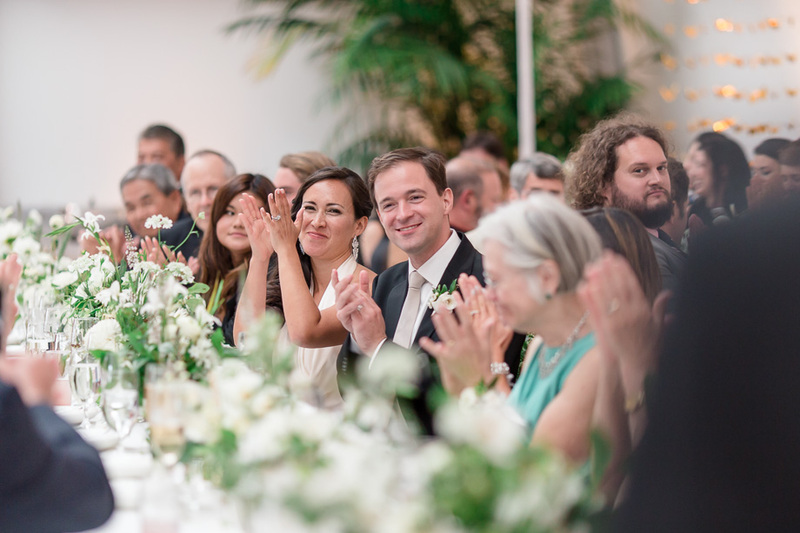 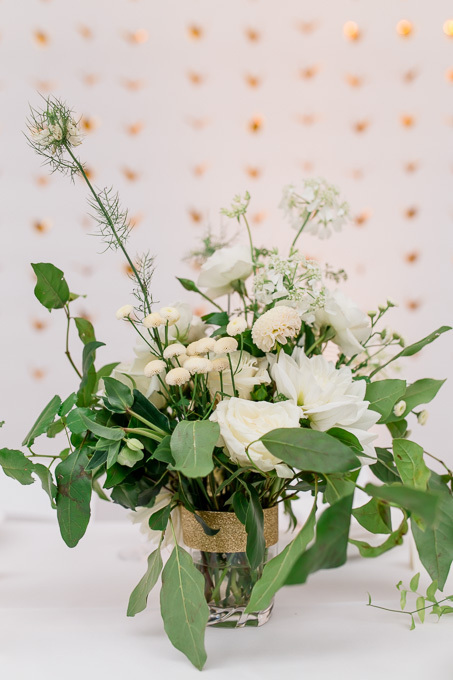 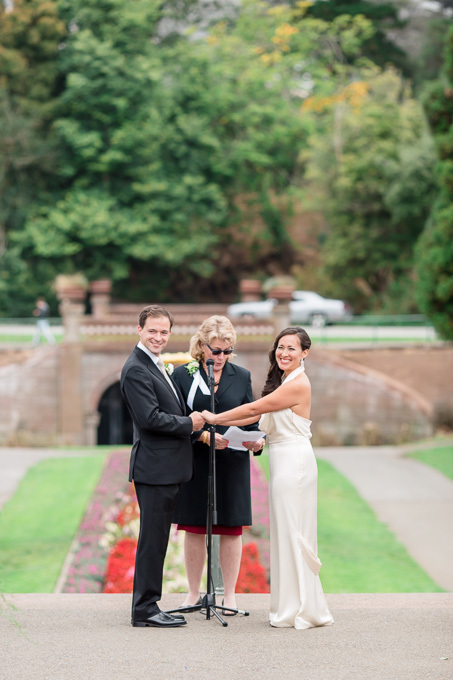 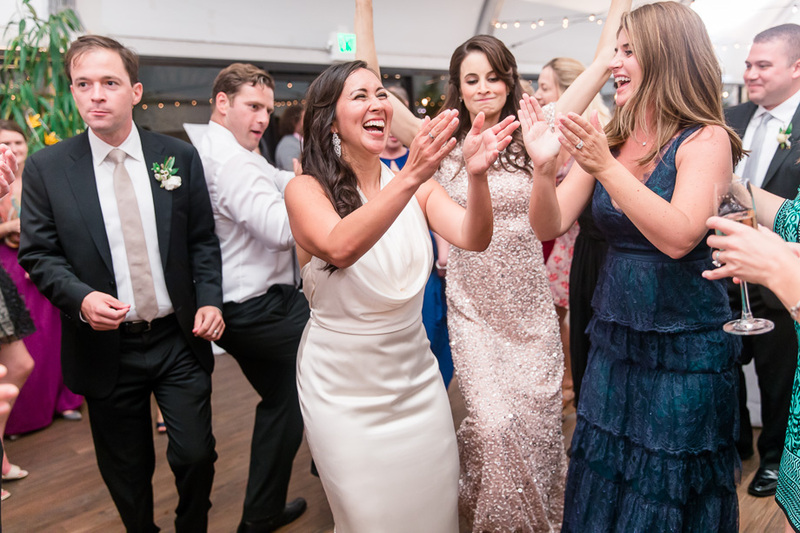 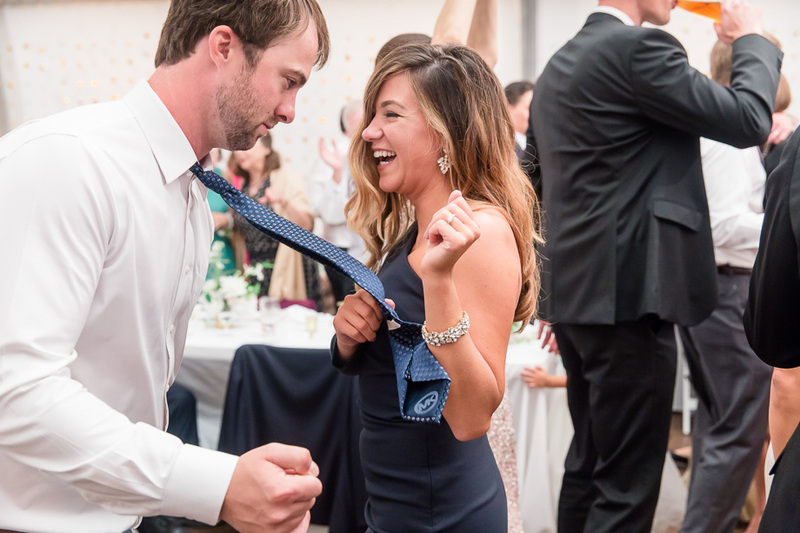 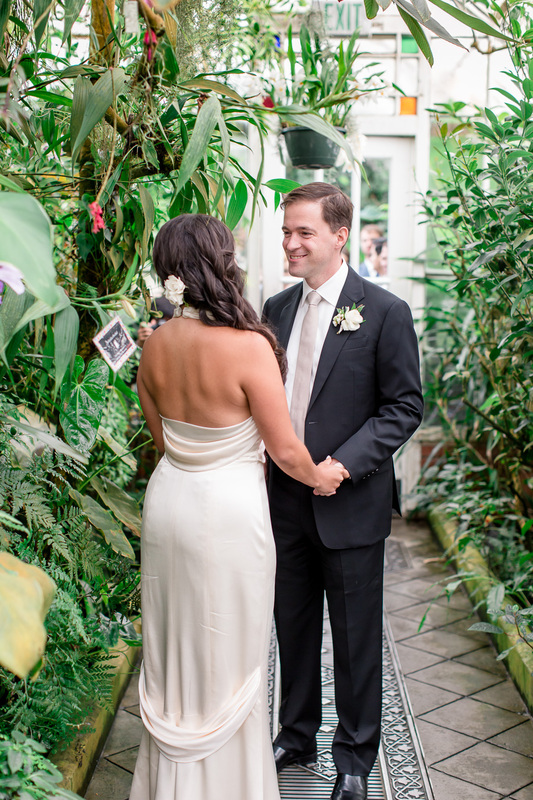 The spotlight of this post shines on Sarah & Rob, who had their glamorous and stylish wedding when they tied the knot last month at the San Francisco Conservatory of Flowers. 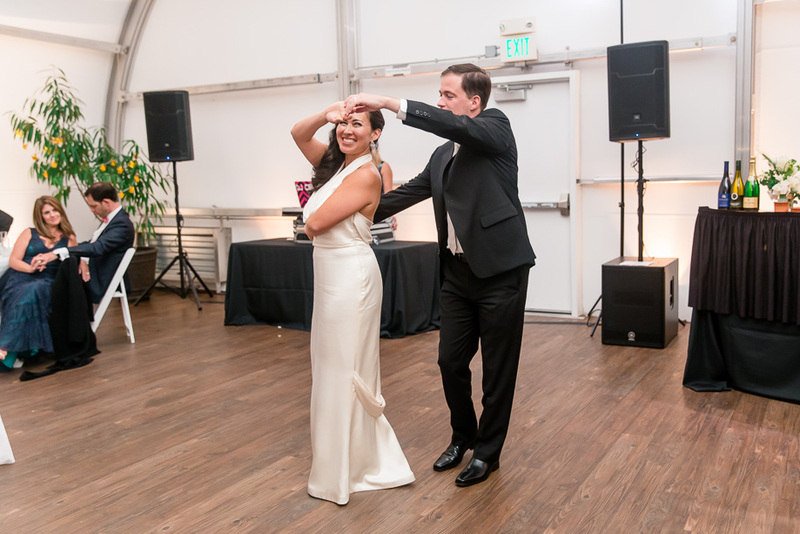 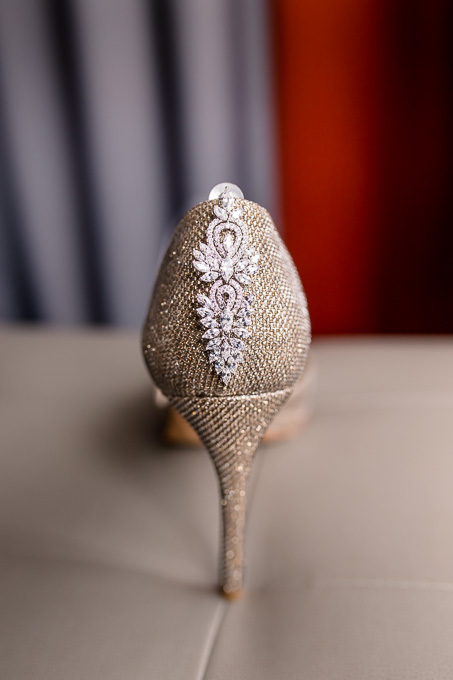 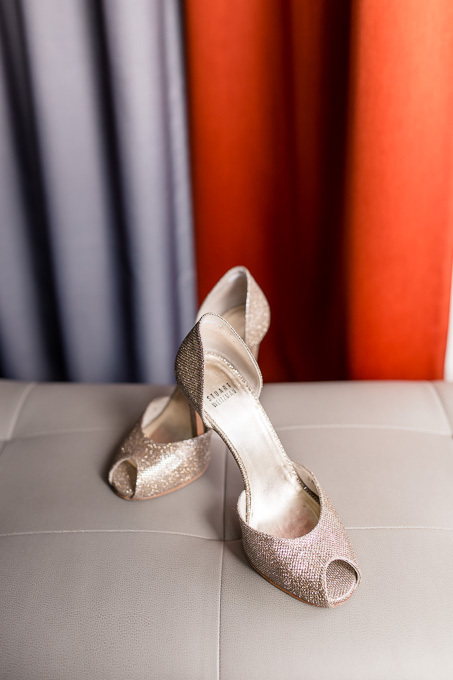 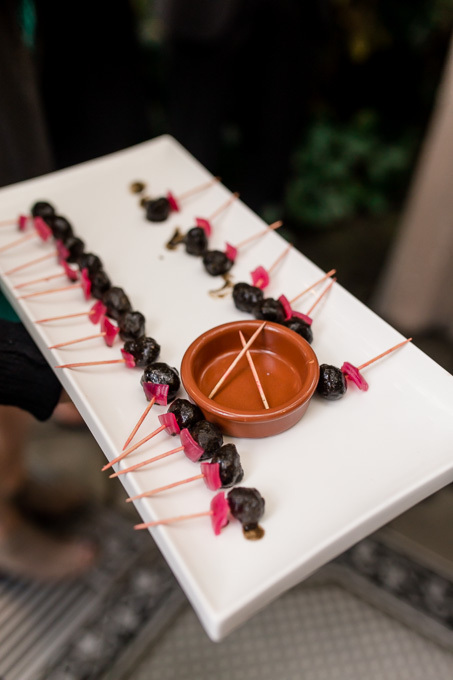 With their theme of “Hollywood Glamour,” the couple encouraged their guests to be as fashionable as they wanted, which definitely added to the classy air of the wedding. 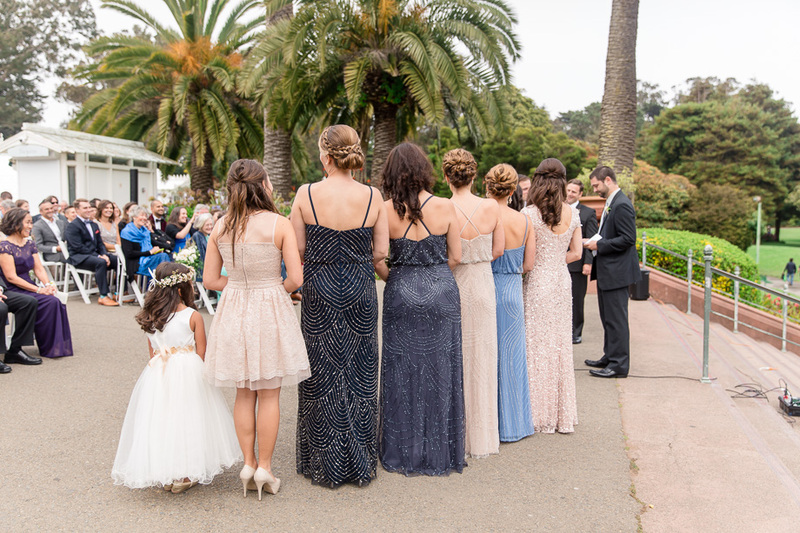 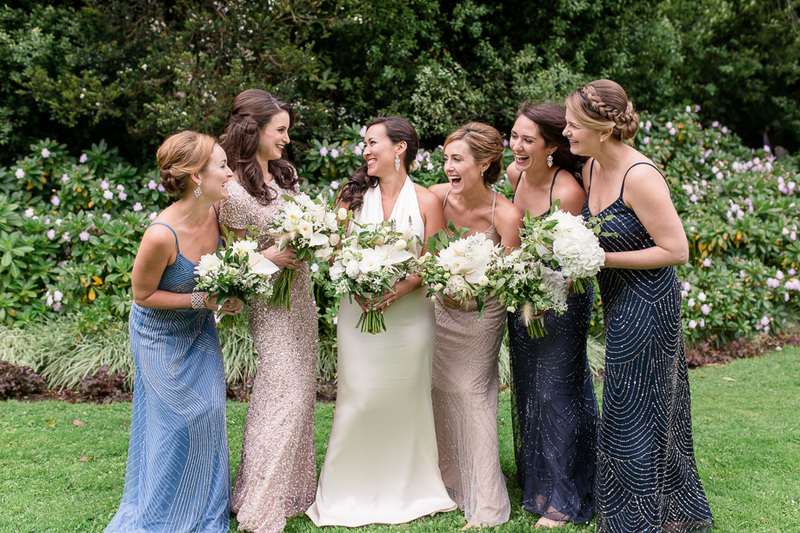 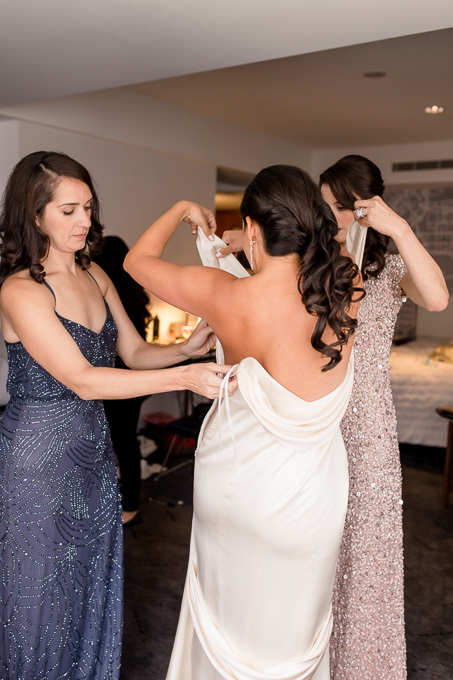 I really loved the bridesmaids’ dresses as well — each a little unique, but all very elegant and true to the theme! 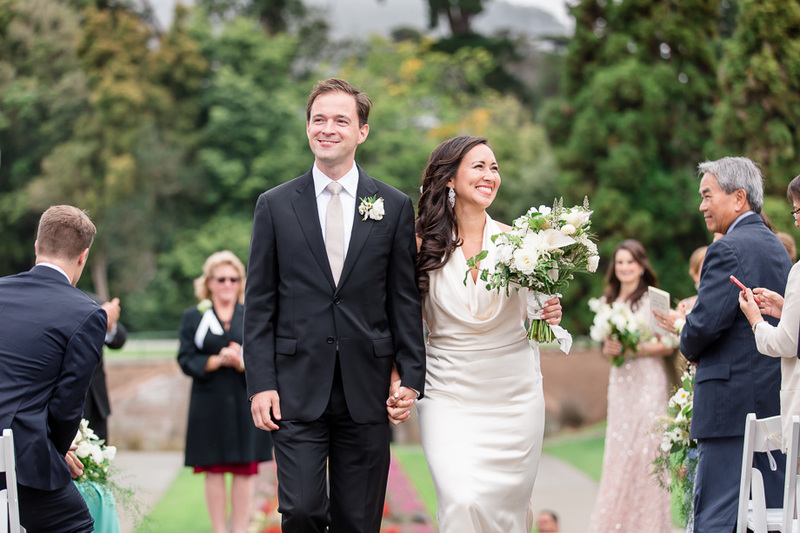 Sarah & Rob met back in 2013 through their mutual friend Ben, and two years after their first date, Rob found himself proposing to Sarah on a walk up Bernal Hill. 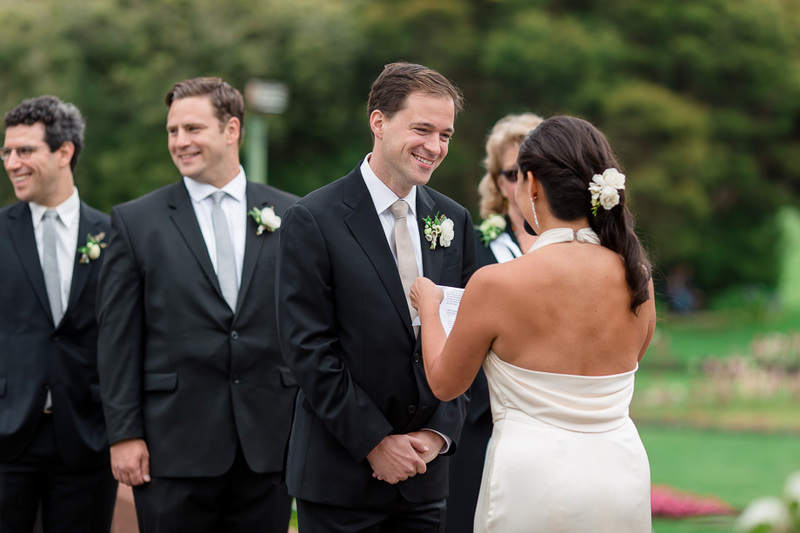 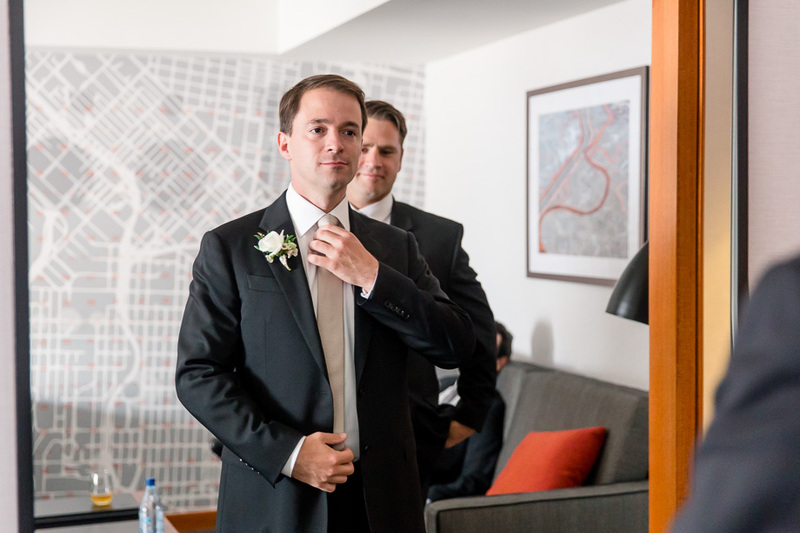 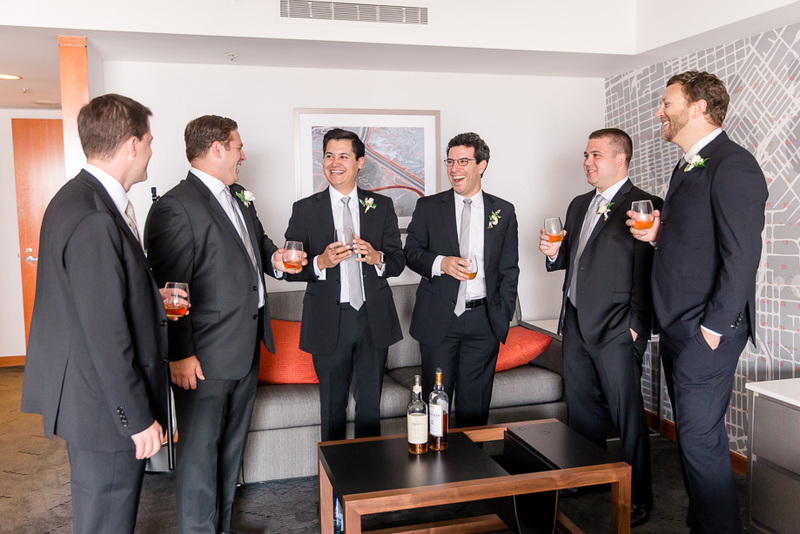 Ben had a special place during the wedding, as he delivered a very special introduction at the beginning of their ceremony. 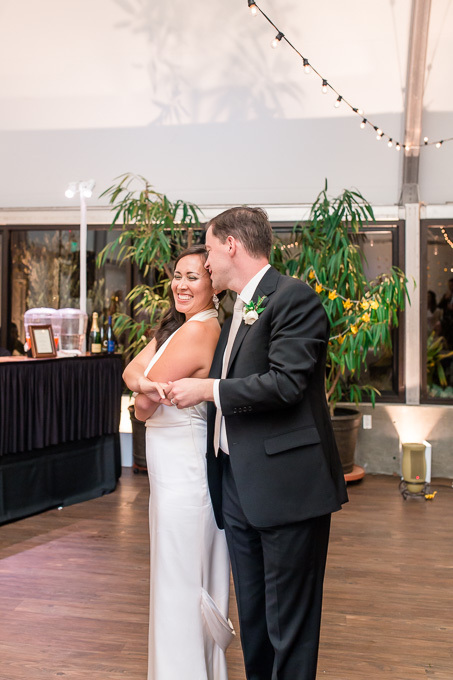 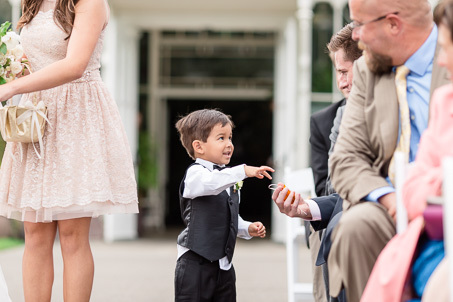 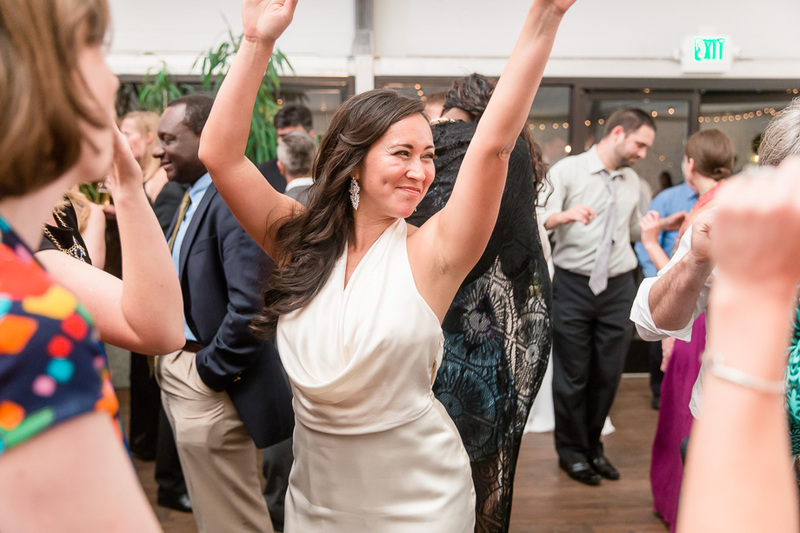 We loved that, as the flower girl and ring bearer walked down the aisle, they each handed out paper cranes to the guests instead of the traditional throwing of petals. 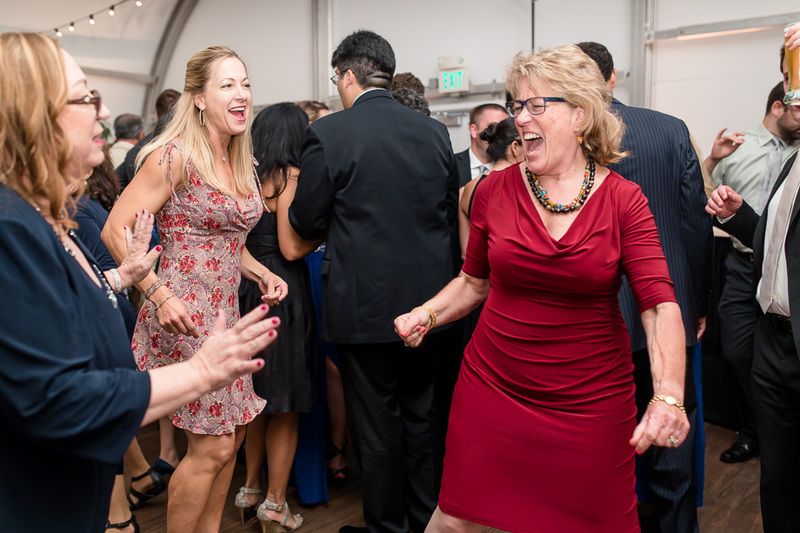 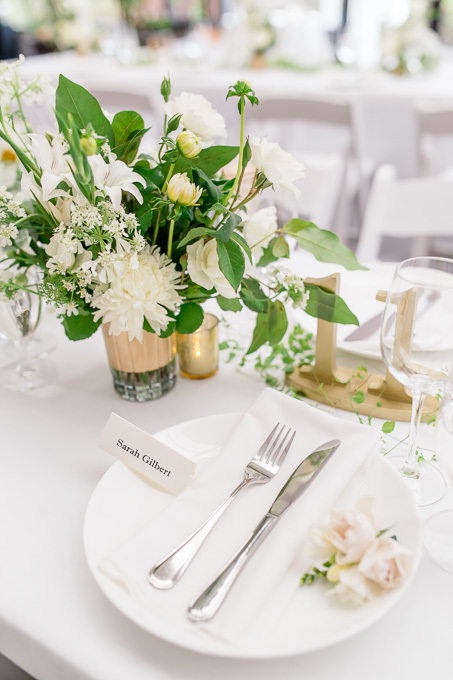 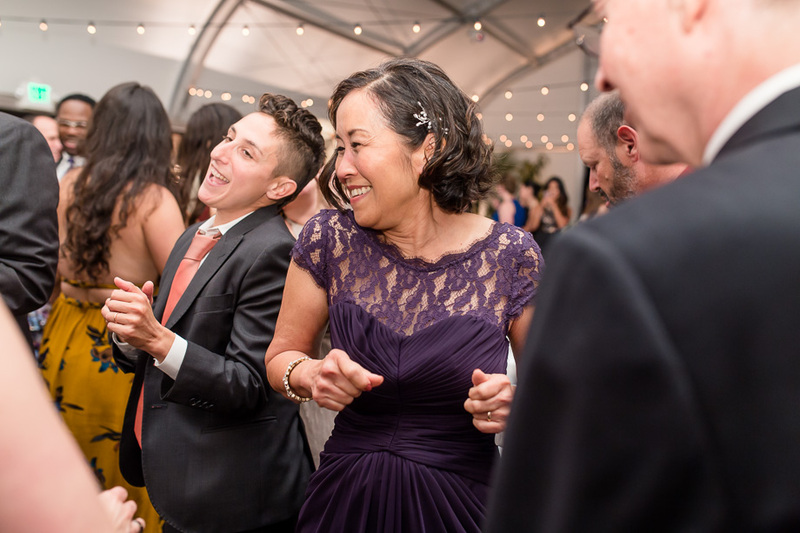 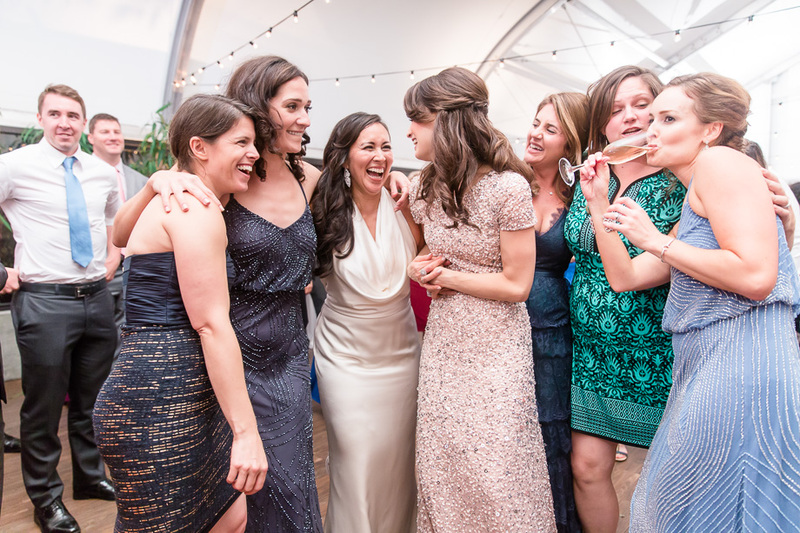 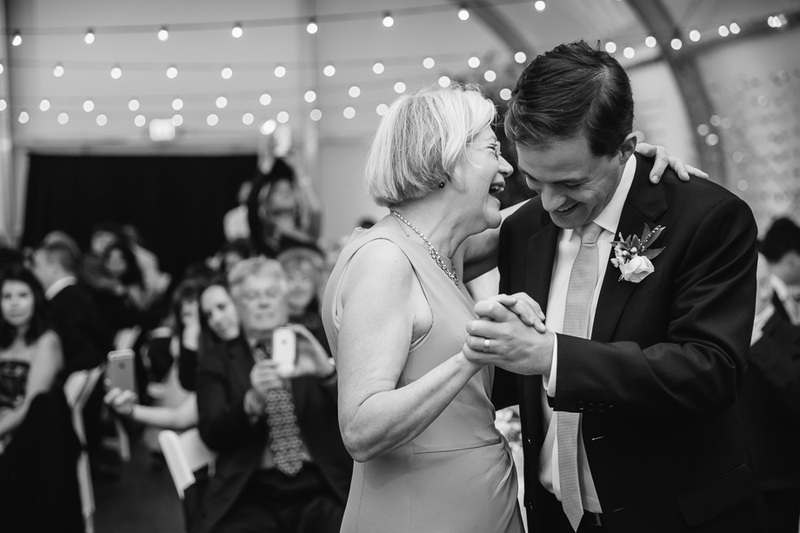 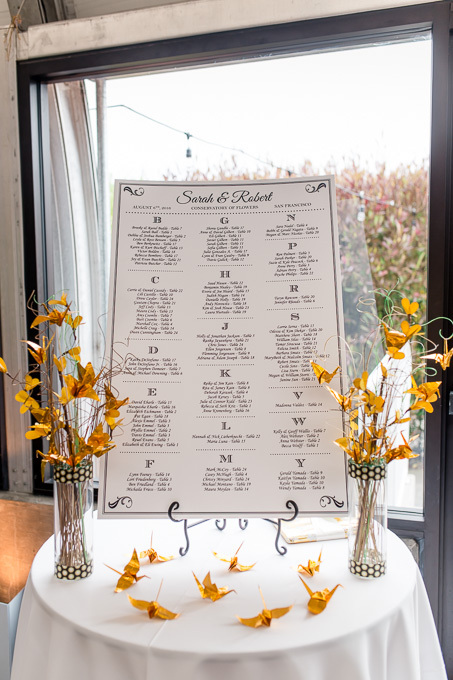 Sarah’s mom had also folded 1,000 gold paper cranes which was used to beautifully fill the reception hall of their wedding where their guests danced the night away. 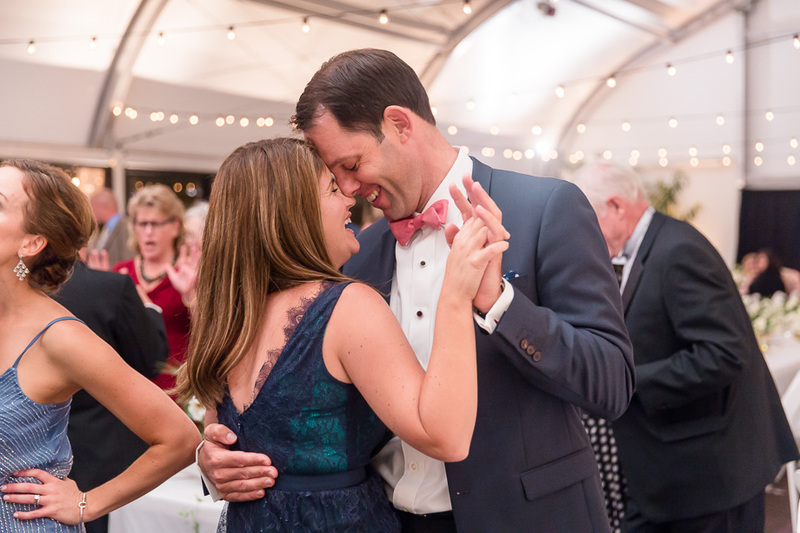 We seldom get to work with couples who both share the common interest of helping and serving their community, and Sarah & Rob’s contributions to society have surely gone a long way. 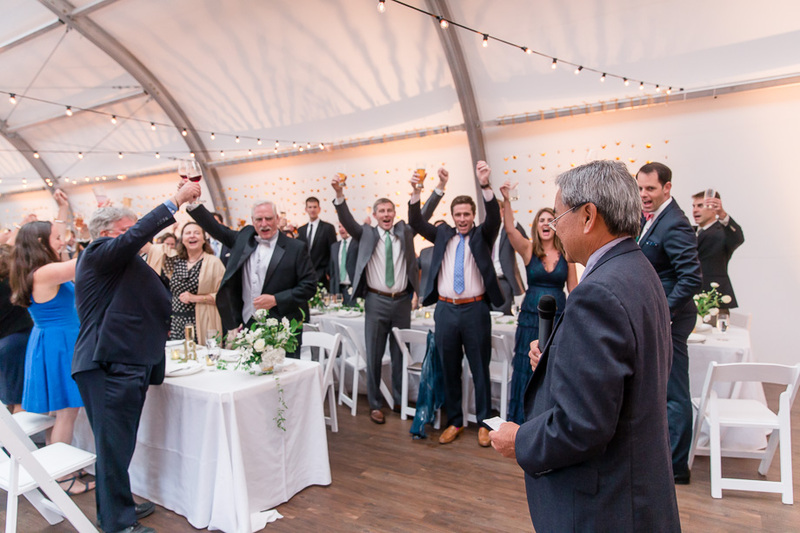 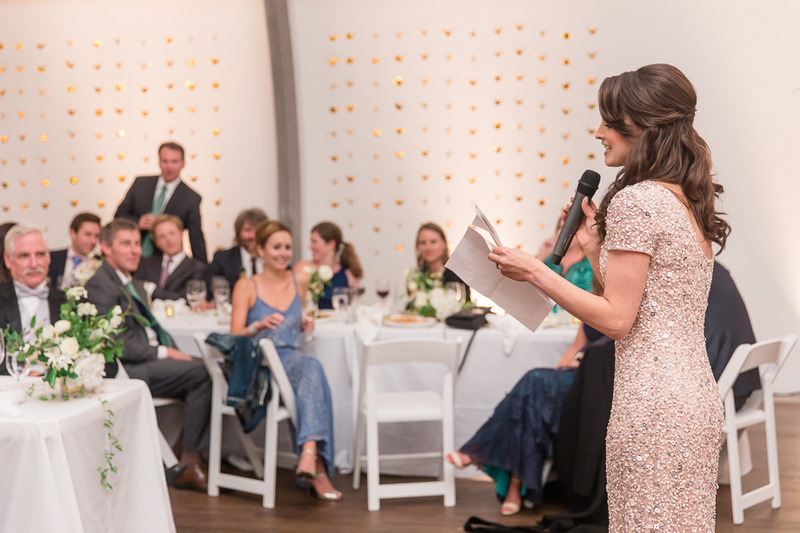 It was evident from the toasts and speeches that they have a lot of love to give not only to each other but to those around them as well. 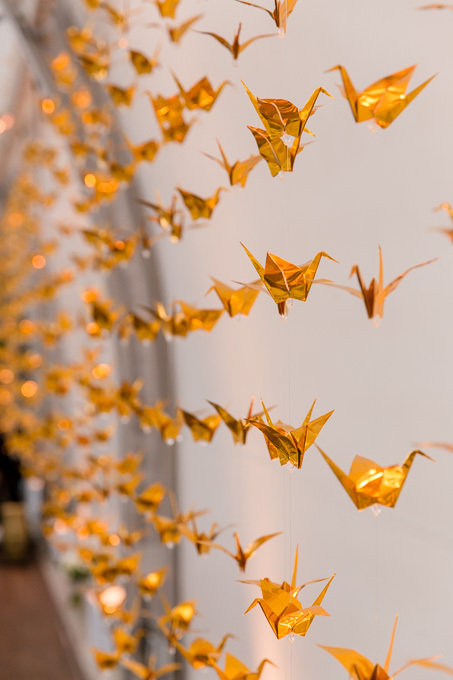 According to ancient legend, those who fold one thousand origami cranes will have their wishes granted, and like the newlyweds and their family, we also wish them a lifetime of happiness and strength together. 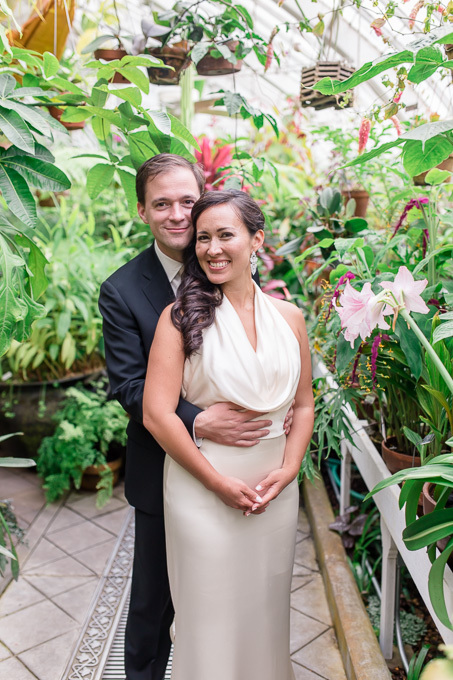 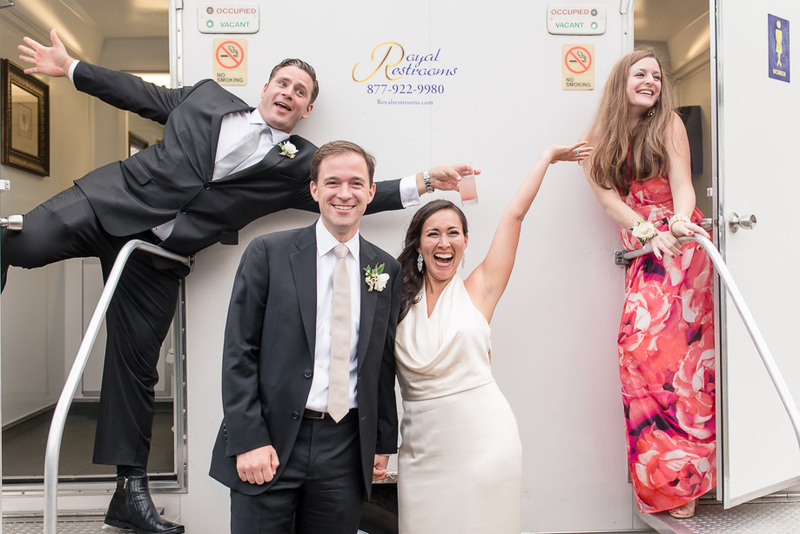 Congratulations again to Sarah and Rob!